The big question is – would we recommend one? 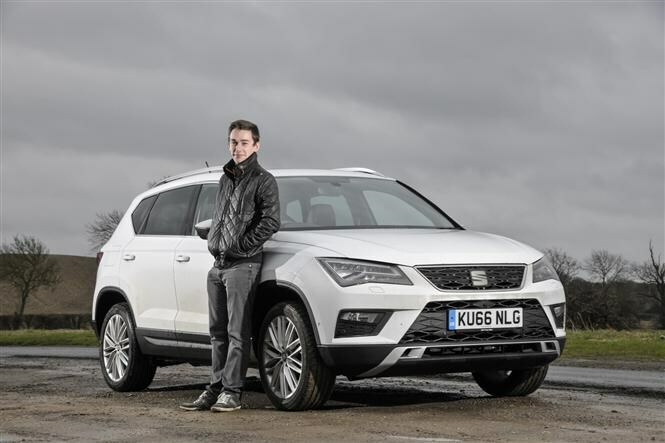 Our time with SEAT’s first ever SUV has come to an end. 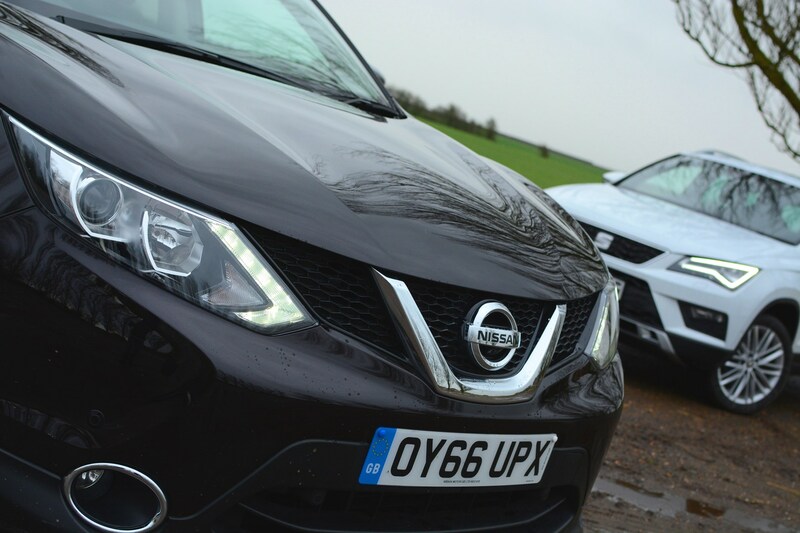 We’ve packed it over Christmas, had a fight with the foglights and compared it with the all-conquering Nissan Qashqai. Is the Ateca a proper family car? We’ve got no complaints in this department. There are generous levels of space on offer all around the cabin, whether you’re sitting up front or out back in the second row. Average-height passengers will have no problem stretching out in all but the middle seat – and even then the centre pew is still capable of taking an adult in relative comfort on short journeys. 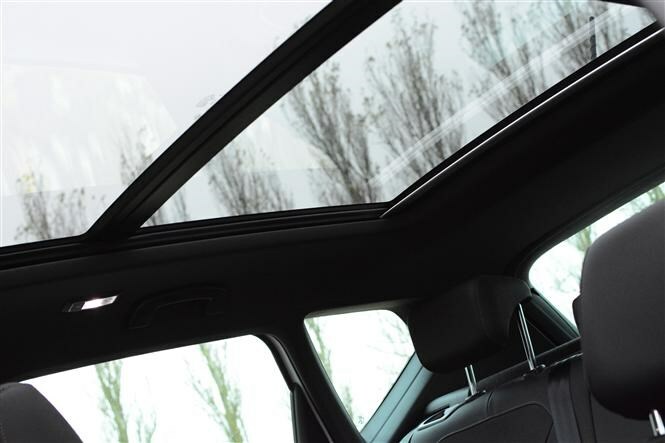 The panoramic sunroof (a £950 option on our test car) really helps to heighten the sense of space, and is well worth the investment if you’ll be frequently carrying rear seat passengers. Move around to the back and boot space is equally impressive. In front-wheel drive form, the Ateca will swallow a whole 510-litres of luggage with the rear seats in place, increasing to 1,604 with them folded down. That’s enough to see off the Ford Kuga, Nissan Qashqai and Kia Sportage, yet, oddly, falls short of its Volkswagen Tiguan sister car’s 615/1,655 litres. The loadbay is a good shape and isn’t too high up, plus the variable-height boot floor means you can increase luggage capacity accordingly. 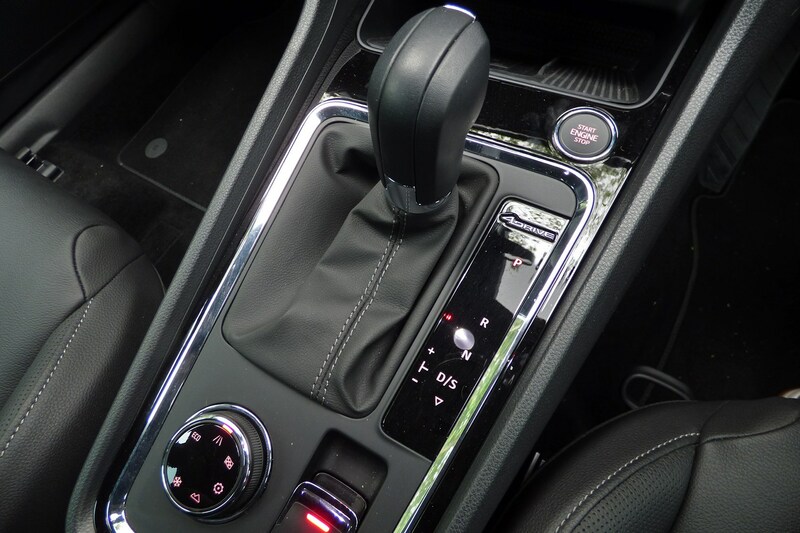 Other gizmos include the quick-release catch which folds the seats (almost flat) at the pull of a lever, and the hands-free tailgate – something which admittedly only worked 50% of the time. Finally, the cabin – while not the most up-to-date affair, it at least felt like it was screwed together properly and should be able to stand up to the scrutiny of children and or family pets. Yes and no. Starting with the former, the sports leather seats (standard on Xcellence spec) are excellent. Supportive but squashy, they manage to feel broad and spacious yet still hold you in place well through the bends. They really are excellent, plus there’s plenty of adjustment in them too. It’s a real shame, then, that the ride quality on our 1.4-litre Ateca can’t come anywhere close to matching the comfort levels of the seats. Run over any kind of bump or crack in the road at low- to medium-speed and there’s a pronounced bump and jolt as the surface imperfection is translated through the cabin. Accelerate up to motorway speeds and while the ride improves slightly, there’s a deep – and often irritating – resonance coming from the rear end if the car is rolling over anything but a silky smooth surface. Some drivers notice it more than others, but for those whose ears are tuned in it’s a significant annoyance – yet one which can be ironed out (we’ll explain how later). The harsh ride isn’t entirely without justice, however. The Ateca handles far more sharply than any of its rivals and is easily the most agile and sporty feeling SUV of its size and price point on the market. What’s the Ateca’s 1.4-litre petrol engine like? For the first few months we rather enjoyed the idea of having a petrol SUV which didn’t cost the earth to run. There’s a strong amount of pull in the mid-range (0-62mph takes just 8.5 seconds) and once up to speed, the 150hp 1.4-litre motor is impressively refined. However, as the months and miles racked up, we began to yearn for the effortless torque (and fuel economy) of a diesel. The petrol engine’s harsh top end, lack of low-down grunt and refusal to yield 400-miles from a tank of fuel meant it didn’t quite click for us. Those who cover lower-than-average yearly mileage may well find contentment with the 1.4-litre TSI, but we’d rather take the 150hp 2.0-litre diesel – for more than the reasons we’ve listed above. Opt for the any 2.0-litre diesel Ateca and the ride comfort is noticeably better. It’s still firm, yet that irritating resonance from the rear end is eradicated, and bad road surfaces and translated into the cabin quite so literally. Why? We reckon it’s largely down to the more sophisticated multi-link rear suspension standard on all four-wheel drive models, which, also happen to be diesel-only. Spec a petrol and you’re lumbered with a less advanced torsion beam setup out back. Would we recommend the Xcellence spec? Absolutely. It comes standard with almost all of the kit most drivers will need – including dual-zone climate control, Bluetooth phone connectivity, cruise control and sat-nav – while also bringing out the best of the Ateca’s chiselled lines on the outside. We’d also strongly recommended the optional panoramic sunroof (£950) and SEAT Sound System, the latter well-worth it’s relatively minor £330 outlay. As for the £1,225 Xcellence Pack, we’d probably give it a miss. While the top view camera and automatic parking are useful, they’re unnecessary if you’re a confident parker. The electric tailgate (with virtual pedal) makes loading the boot easier, and can be had for £420 as a standalone option. 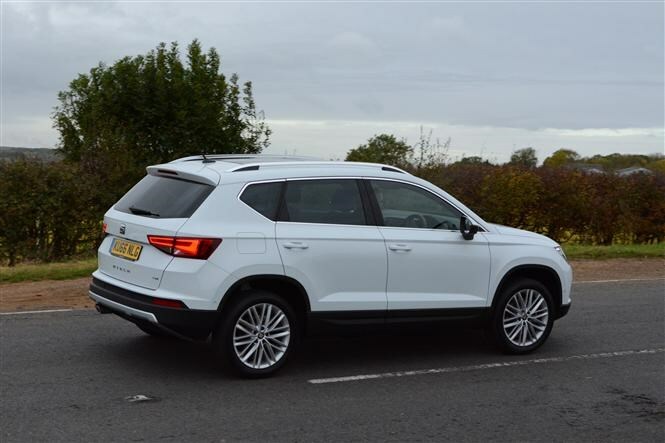 When it was first registered back in September 2016 our SEAT Ateca Xcellence 1.4 TSI was priced at £23,905, rising to £26,945 with options included. Nine months later and with almost 11,000 miles on clock, our Ateca is worth £22,397 at a franchised dealer. This means it has lost a respectable 17% of its original value, costing 42p per mile in depreciation. The cheapest quote we could find for the Ateca was £637. This compares to £674 for the Ford Kuga, £623 for the Nissan Qashqai and £633 for the Kia Sportage. 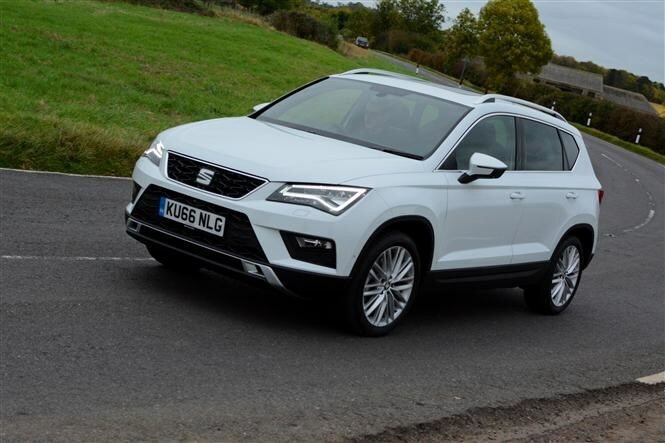 * All cars were quoted in equivalent spec and engine choices to the Ateca Xcellence 1.4 TSI. We love the looks, practicality, kit and handling of the Ateca, but its petrol engine leaves us lukewarm and the ride is unacceptably firm for a family SUV. However, as we’ve highlighted, the 150hp 2.0-litre not only provides a better engine, but a far better ride, too. Surely, then, the 2.0-litre diesel version is the answer? Not so fast. 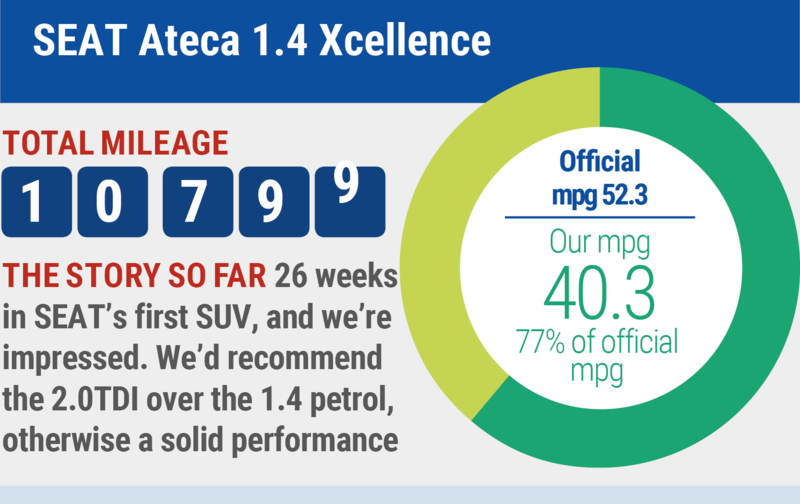 As while the Xcellence 1.4-litre petrol is available on PCP for £353 a month (with a £3,000 deposit) over three years, the equivalent-spec 150hp 2.0-litre diesel is £434 a month – a whole £81 more. Over the course of the 36-month contract, that works out at an extra £2,916 in total – a huge chunk of money in anyone’s book. If you can stretch to the extra amount, we’d strongly recommended making the jump to diesel. In fact, there’s very little wrong with the Ateca in this guise. But what if you can’t? Handily, SEAT also makes a similarly well-equipped, practical and better-handling Leon estate (referred to as the ST), which is considerably less-expensive than its SUV brother. It also rides far more smoothly than the Ateca, and the 1.4-litre petrol engine feels noticeably gutsier. Thanks to a £2,250 deposit contribution on the Leon ST, a 1.4-litre Xcellence-spec model can be on your driveway for just £305-a-month, rising to £353 if you want the 150hp 2.0-litre diesel. ** *Deals are correct at time of publication. Everyone’s financial circumstances are different and credit is not always available – Parkers cannot recommend a deal for you specifically. These deals are indicative examples of some packages available this week. Fifteenth report: can we fix the Ateca’s firm ride quality? 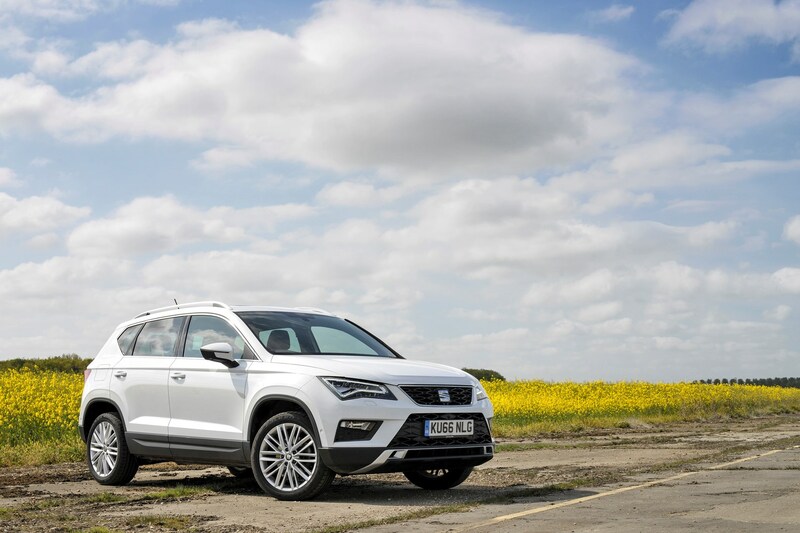 Our time with the SEAT Ateca is almost up and, without giving anything away before our verdict piece, we’ve found the Spanish brand’s first SUV to be a talented daily driver. However, there’s one aspect of the Ateca which has bugged us throughout are time with the car – the ride quality. We reckon it’s too firm, plus there’s a pronounced – and intrusive – resonance from the rear end of the car that manifests itself on all but billiard-table-smooth road surfaces. Is there a remedy? We think there is. The 2.0-litre diesel Ateca comes as standard with four-wheel drive – a feature petrol Atecas don’t offer. Why is this important? Well, the four-wheel drive models have a different – and more advanced - suspension setup which should, theoretically, improve the ride quality and remove that annoying resonating sound. To find out if our theory holds any water, we spent a few hours in a 190hp 2.0-litre diesel Ateca with four-wheel drive – or 4Drive as SEAT refers to it. Sure enough, a two-hour journey home from the office confirmed our suspicions. The four-wheel drive 2.0-litre diesel Ateca rides significantly better than our 1.4-litre petrol model – despite running on larger 19-inch alloy wheels. The firmness which makes the car great to drive for an SUV is still there, yet it doesn’t translate into the cabin to the same degree, instead feeling taught but not juddery. And that constant resonating sound from the rear end? Gone. The multilink rear axle (as opposed to the semi-rigid one in the petrol) appears to eradicate the noise, making the Ateca a far more pleasant cruiser. After driving the Ateca up and down the motorway for six months, the difference is night and day. It’s a real shame SEAT doesn't offer the petrol Ateca with four-wheel drive, or at least fit the superior suspension on two-wheel drive models. We’ve already driven a 150hp diesel Ateca in 2016, so won’t go into too much detail here. What we will say is that despite the extra 40hp, the higher-powered 2.0-litre diesel barely feels any more responsive than the 150hp version in the real world. It does feel coarser, though – a trait which is apparent in many VW Group 190hp diesels. Our test car also came fitted with the seven-speed DSG gearbox – a transmission which we expected would gel nicely with the torquey diesel. It didn’t – instead feeling lazy and hesitant. 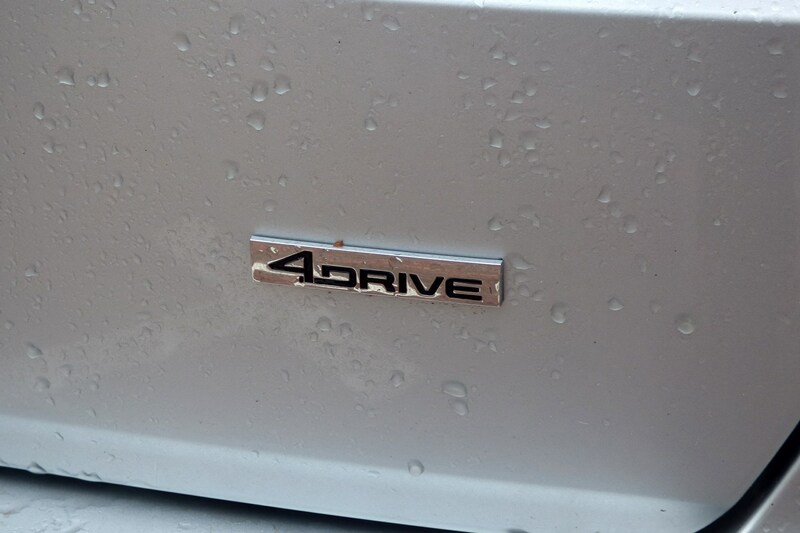 You can cure this slightly by selecting sport mode, but we reckon a manual 150hp diesel will do the job better. Diesel 4Drive worth the extra money? As we highlighted in our earlier report on the 2.0-litre diesel Ateca, it costs substantially more to finance than the equivalent petrol model. Is it worth it for the improved ride? That depends on your individual budget and circumstances. One thing is for sure, however, that if money were taken out of the equation the manual 150hp diesel Ateca is the one to get. We’ve never thought of our long-term SEAT Ateca as a dull-looking car. 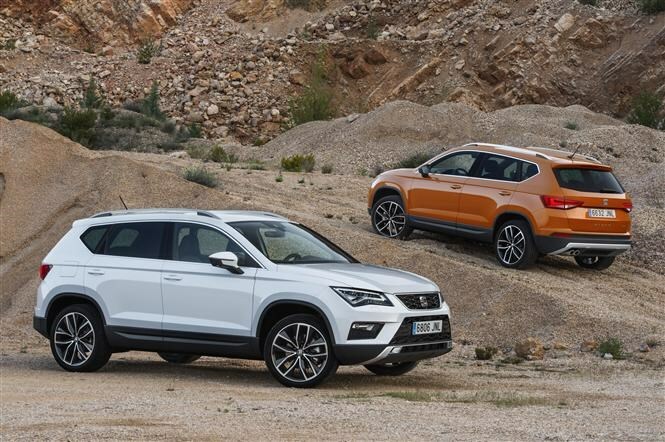 Yet, just in case potential customers want to add an extra splash of colour, the Spanish brand offers a number of interior and exterior customisation options for its stylish SUV. Fancy some larger, more colourful wheels? 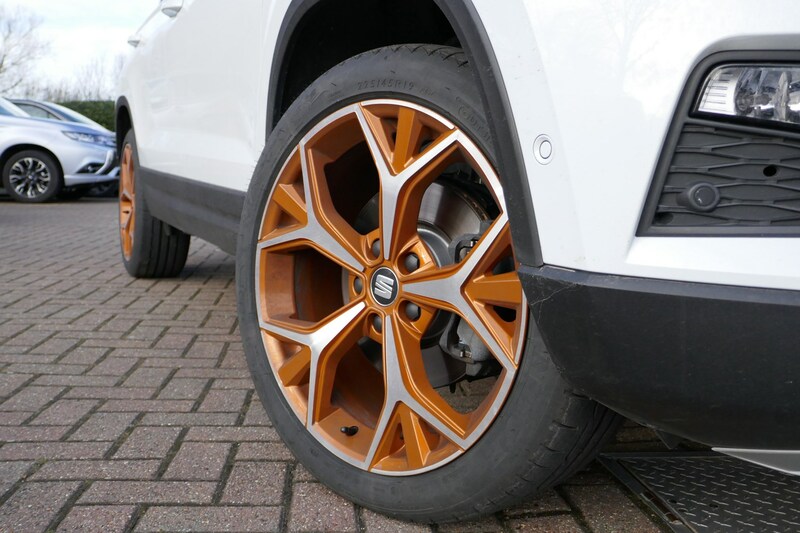 The Ateca’s optional 19-inch Aneto alloys are also available in blue, orange and red as well as slightly more subtle white and black shades. Be prepared to put your hand in your pocket though, as these technicolour raincoat rims cost £1,160 a set. 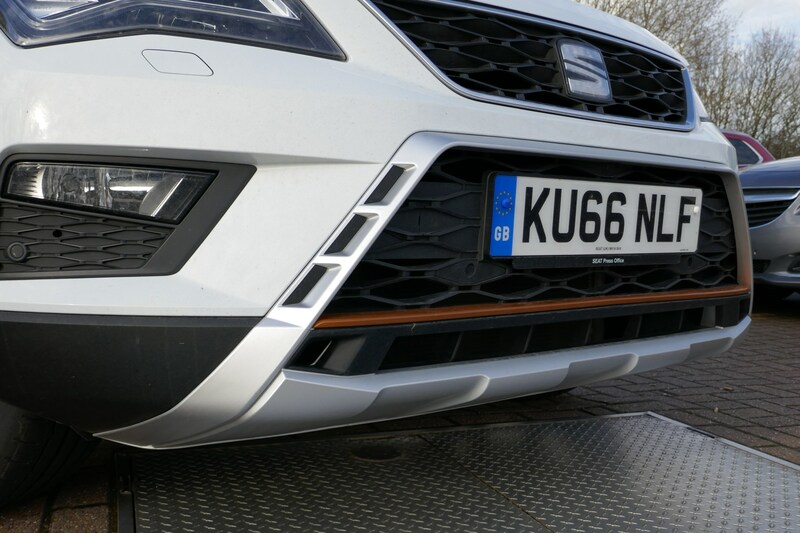 SEAT also offers front and rear styling kits designed to complement the coloured alloys. The former costs £473 and remodels the front bumper with a sportier, more aggressive look, also adding a streak of either red, orange, blue or silver trim. Move around to the rear end and, as well as the beefed-up styling and choice of colours, customers can also choose whether they want the twin exhausts hidden, set aside or spaced out on each corner – all for around £500. Sound a bit OTT? It probably is – but there’s no harm in offering it. It’s also worth noting that more practical accessories such as a bike holder and roof bars are also available. 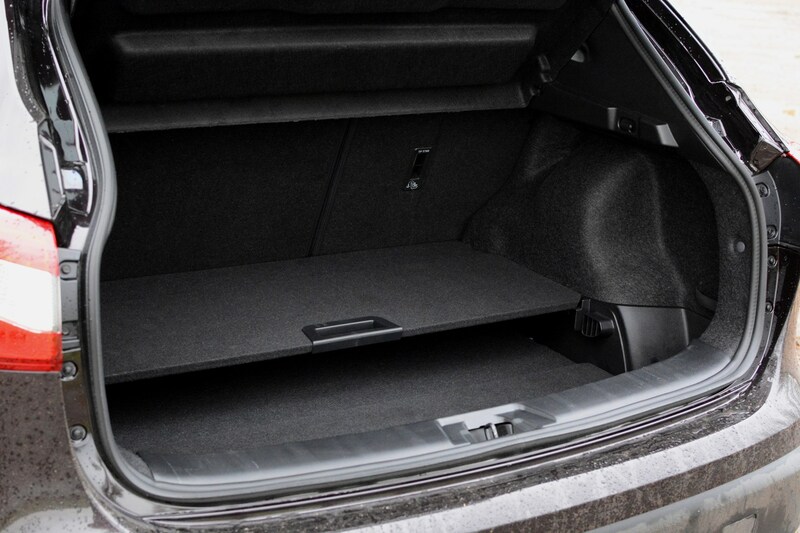 The latter is priced at £185 and includes a antitheft system as standard, while maximum roof load is rated at 75kg. The single bike holder is priced at £130. A 420-litre THULE roof box can also be specced for £395 should the Ateca's already generous luggage capacity not be sufficient. If you're after any of these items, however, it's always worth shopping around as aftermarket versions may be available for less. You’ll have to wait until our final update to discover whether we’d go out and buy an Ateca with our own money, but the good news is that it’s just become a little easier for you to get your hands on one (if you live near the M25, that is). 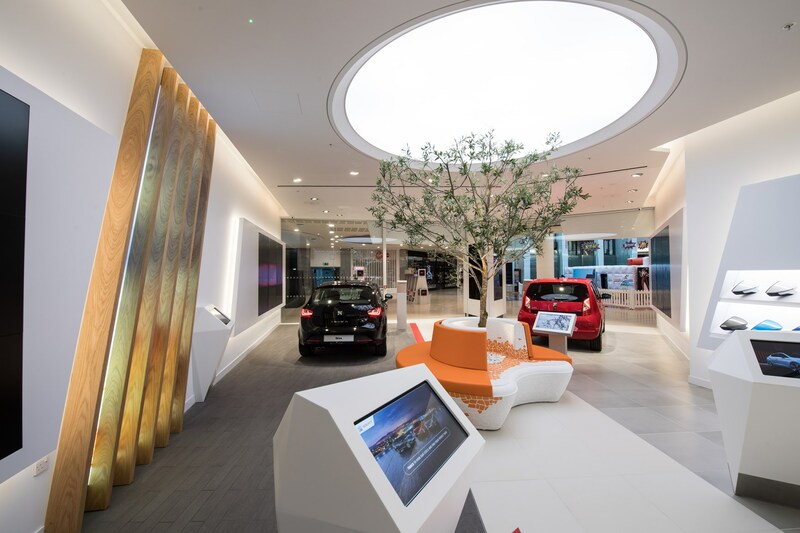 The Intu Lakeside SEAT Store is a world first for the brand, and allows potential customers to test drive and order new cars on-site – with weekday opening hours from 10am-10pm. We've been to see the store in person and reckon it’s certainly worth a visit if you’re after a new SEAT. For starters, there’s absolutely zero pressure to buy anything. There are no salespeople in sight, the store instead being manned by SEAT Experts – none of whom are on commission. If you want to take a test drive, book yourself into one of the available models and go for a spin around the local roads. 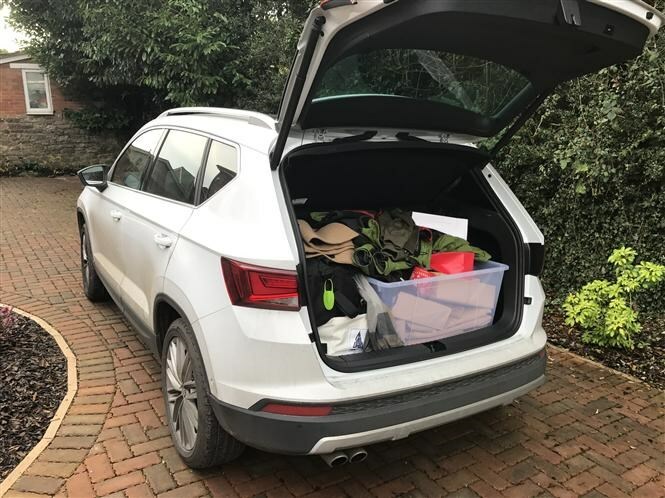 Should you decide to take the plunge and buy a car, there’s a frequently replenished stock of around 70 models, all of which can be on your driveway seven days after the order is confirmed. Trade-ins and Motability orders are also available, as are cars specced directly from the factory. And should you need a service, the car can be dropped off and collected from the SEAT Store – with it being taken to a nearby main dealer inbetween. Unlike a regular SEAT dealership, there’s no negotiation on price. You’ll have access to all the usual finance options and deposit contributions, but the cost of the car is fixed. 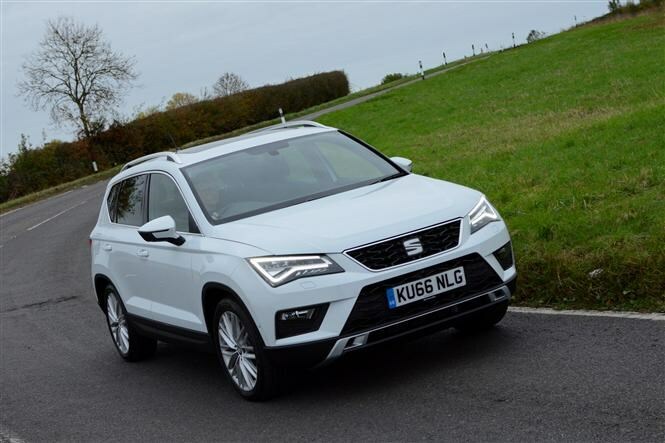 SEAT reckons that most customers will find this a good thing, although savvy car buyers may well find they could end up paying less if they visited a main dealer. There’s also no stock of used cars either, meaning if you’re not interested in buying new you’ll need to look elsewhere. It’ll likely be quite busy at peak times, too, so should you want to sit in or take a look around one of the three cars placed on the shop floor then a degree of patience may be required. Will there be any more stores? 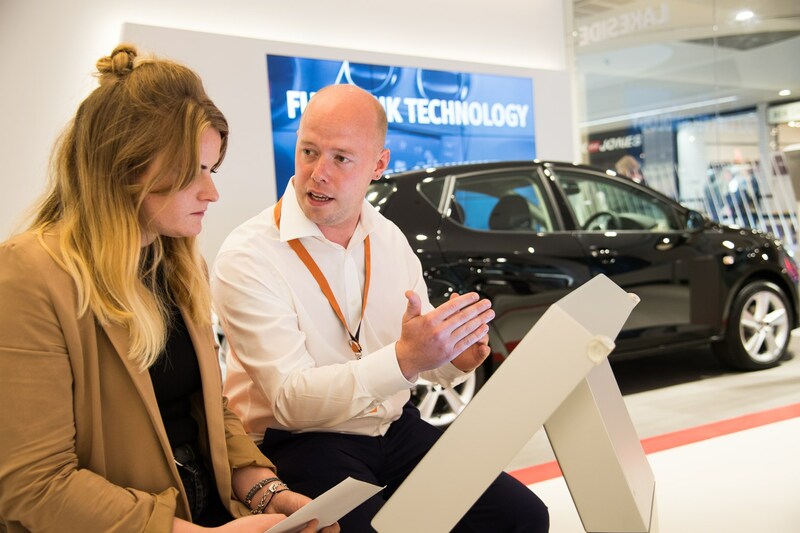 Having spoken to the Director of SEAT UK, Richard Harrison, we understand that another London-based store is currently under consideration. Why head back to the capital? 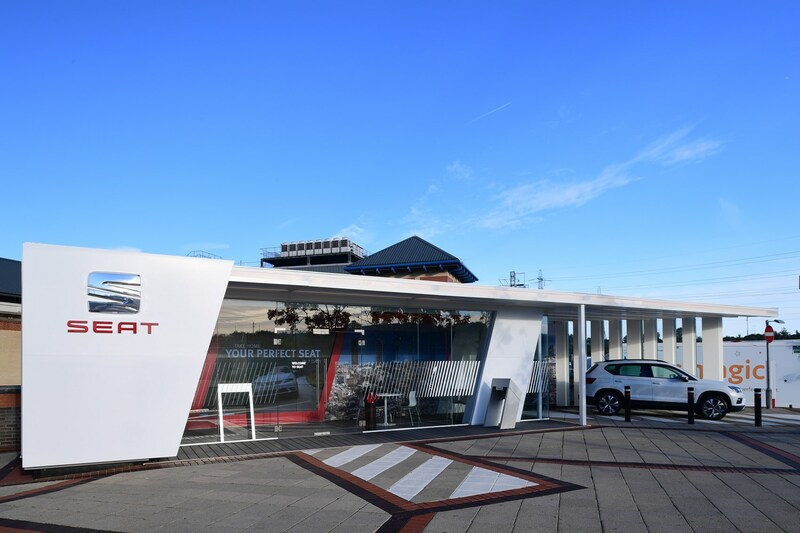 Ever-increasing land costs meaning traditional dealership sites are becoming more expensive, hence the need for a smaller, more compact locations. Twelfth report: Is Xcellence trim the one to go for? 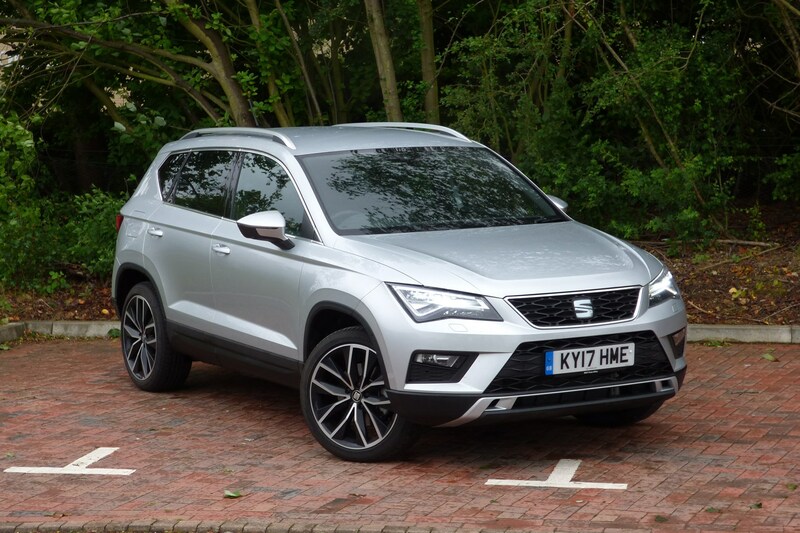 We’ve enjoyed the bells and whistles approach of the Xcellence trim during our time with the Ateca, but does it represent good value for money? Let’s start with the standard kit. We particularly enjoyed the super-easy-to-use infotainment system, with clear, concise menus and sharp graphics. 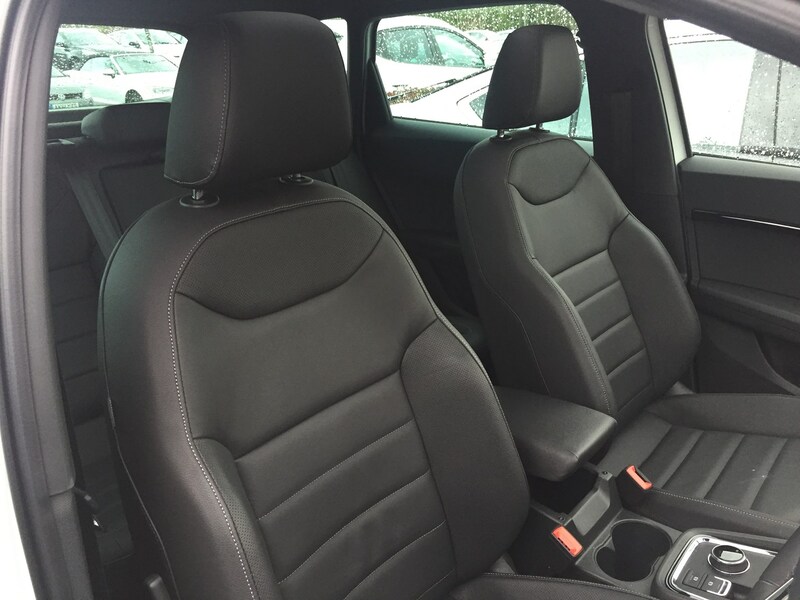 The heated leather sports seats, too, are excellent – offering ample support and comfort over long distances. 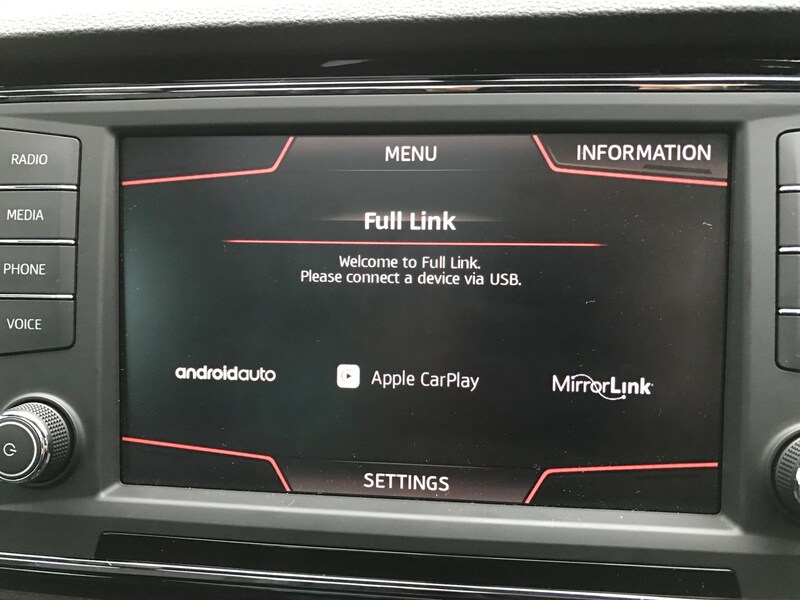 And of course, goodies such as keyless entry and keyless ignition, a top-view camera and Apple CarPlay/MirrorLink are extremely useful. But how much of this kit would we have as standard in the next trim level down – SE Technology – which costs a chunky £1,155 less in 150hp 1.4-litre petrol form? The answer is not much. Save for the eight-inch media system and Apple CarPlay/MirrorLink connectivity, everything else in an optional extra. And it soon adds up: heated seats are £325, keyless entry is £505 and the top-view camera (which displays a bird's eye view of the vehicle to aid parking) is a whopping £650. That’s a total of £1,480 without the superb leather sport seats which aren’t available in SE Technology spec. The sums speak for themselves. There’s plenty of desirable kit in Xcellence spec, and, should you want to upgrade a cheaper SE Technology model with additional equipment, you’ll soon end up overspending. We would, however, point out that dropping down to the SE Technology version opens up the option of a 115hp 1.0-litre engine, priced from £21,860. If you can cope with less power and want to save a bit of money (or spec a few optional extras), this could be the one to go for. Nissan is keen to let you know it invented the crossover with the first-generation Qashqai ten years ago, and since then it’s been a hit with buyers. That also means it’s had to bat off competition from all angles, and our Ateca is one of the latest to take the fight to Nissan. We’ve brought the two together to see how the Qashqai – recently updated with a new look – compares with our stylish SEAT. At the time of writing, the Qashqai has just been updated with a new Micra-style front end so it now looks a little fresher. However, the car in our pictures hardly looks dated. It’s nicely proportioned with some neat design features including the LED daytime running lights and plenty of chrome trim. The Ateca wins in the style stakes for us, though. 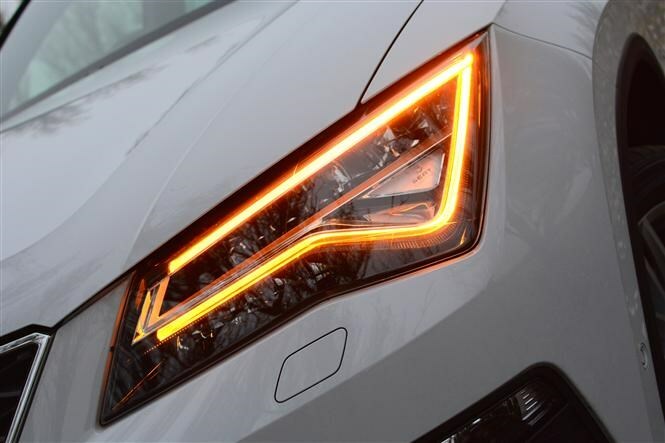 SEAT’s sharp design language transfers well onto a car of this size – it’s eye-catching and the LED lights we’ve previously raved about continue to attract attention. Inside things aren’t so clear cut – they’re both solid, but they’re also lacking in any real flair. However, the Ateca nudges it because the materials used feel nicer than the Qashqai’s. 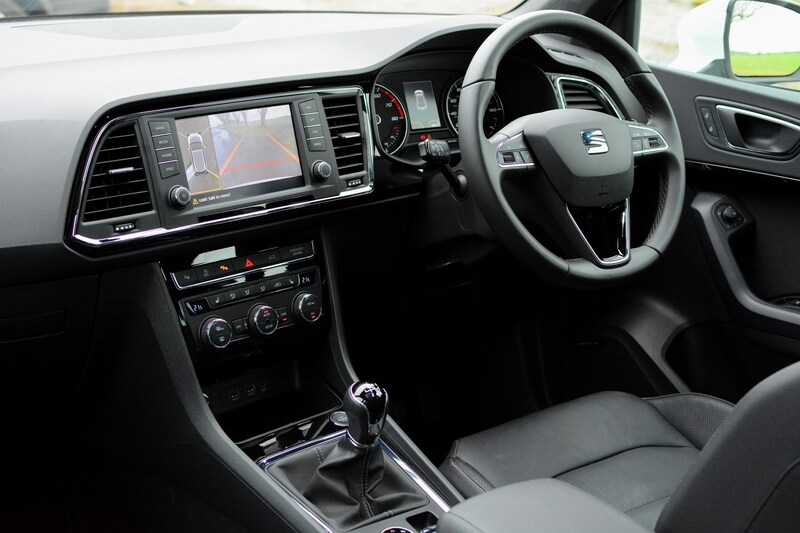 They’re both easy to navigate though, with the SEAT offering a much more modern interface for the infotainment system. It’s also very easy to operate thanks to a big, clear touchscreen. Space is better in the Ateca as well. 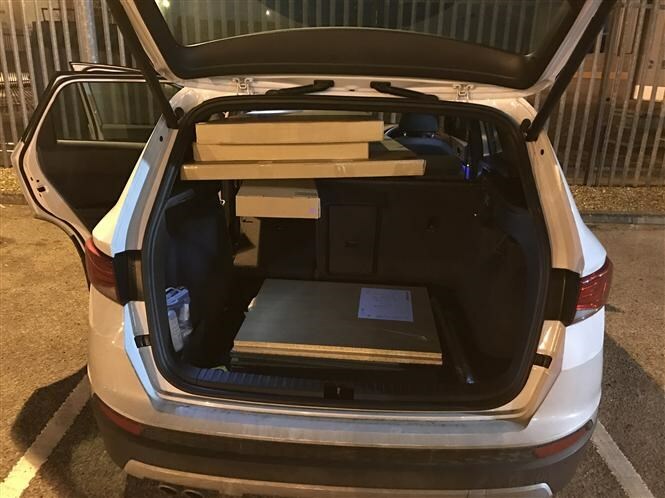 There’s plenty of room for four adults in both, but the SEAT boasts more headroom thanks to its higher roofline, and the boot is 80 litres bigger at 510 litres against the Qashqai’s 430. On the move, the Ateca feels the much sportier offering due to its more direct steering, relatively little body roll and sharper handling. The Qashqai errs more on the side of comfort, which will be important for family buyers looking for a more relaxed ride, but by no means is it as fun to drive as the Ateca. 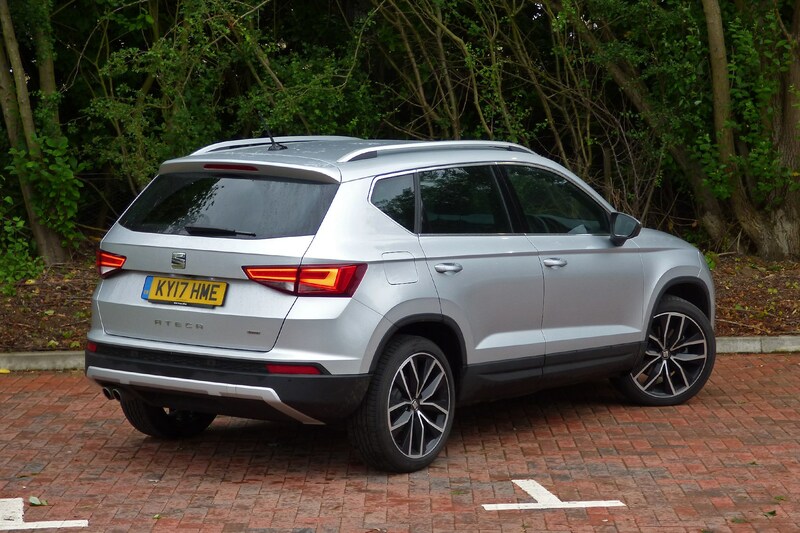 At launch, our Ateca weighed in at £23,905 as standard – but prices have risen since then to £24,440 – while this version of the Qashqai, a 1.6-litre DIG-T in N-Connecta trim, costs £24,205. The Ateca comes with plenty of plush kit for the money, though, including full leather trim, an 8.0-inch touchscreen infotainment system with Apple CarPlay and Android Auto, keyless entry and ignition with an electric tailgate and a rear-view camera. The Qashqai does without leather trim and a smaller, more dated infotainment system, however it matches the Ateca’s 360-degree camera system and all-round sensors. It just doesn’t feel quite as nice inside as the SEAT. Has the Qashqai’s reign come to an end? We think so. 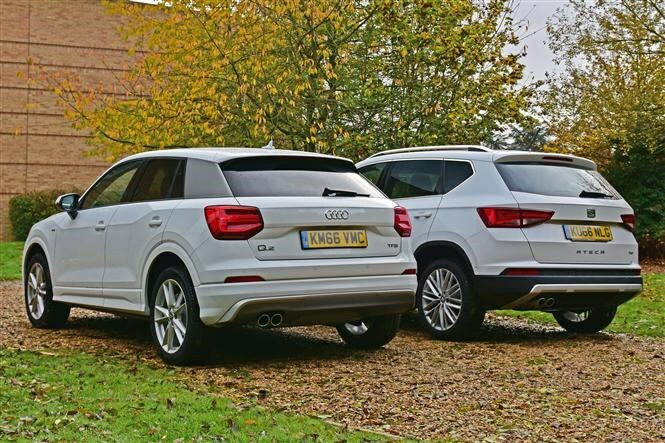 It’s been knocking around for a few years now so it’s no surprise it feels a little dated compared with newer models like the Ateca. 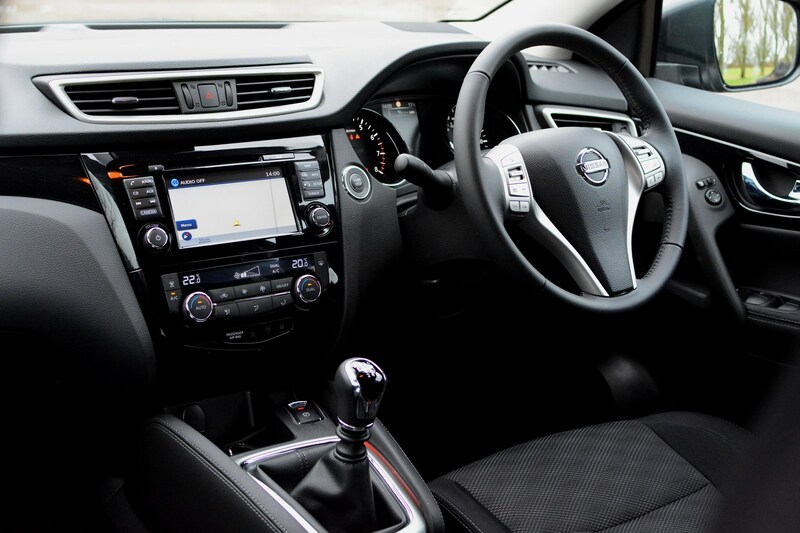 Our SEAT is sweeter to drive, packs more interior space and a generous standard equipment list into a very similar price as the Qashqai. We prefer the looks of the SEAT, too, but beauty is in the eye of the beholder, of course. 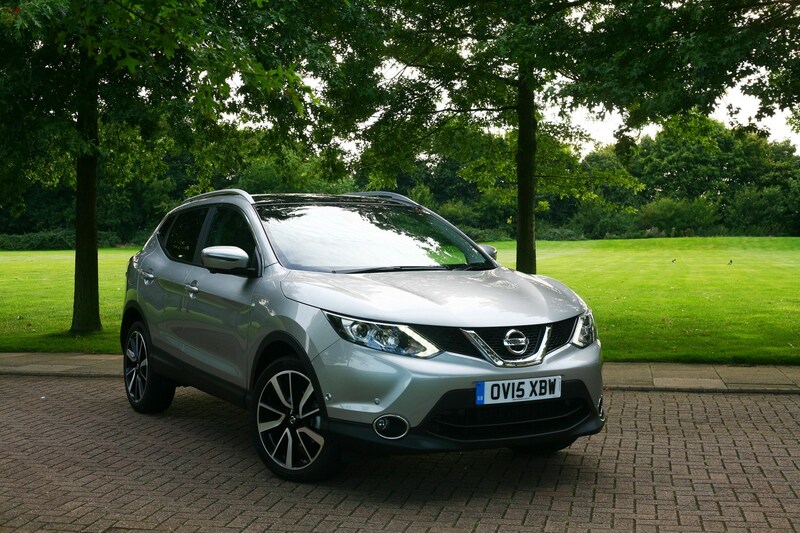 However, the Qashqai is still an impressive family car and, with a facelifted version just around the corner, it could well close the gap once more. 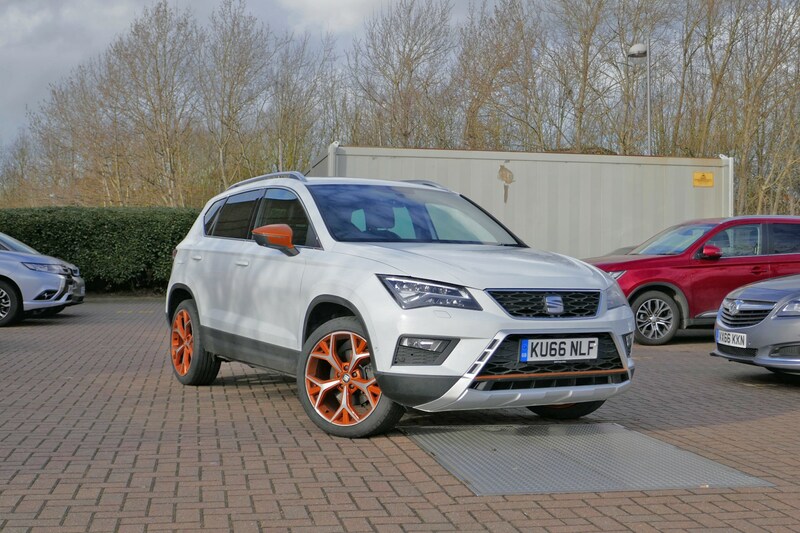 Back when we first took delivery of our SEAT Ateca long termer, we mentioned the asking price of £26,945 – including options. It’s a competitive figure compared to its rivals, but 21st century drivers don’t usually pay the entire sum up front. What most do instead, is take advantage of manufacturer-backed finance deals to get themselves behind the wheel. With this in mind, we thought we’d see how well our long-term Ateca fares against its rivals when acquired through a three-year Personal Contract Purchase (PCP) deal. All offers below are based on a 37-month contract with a £4,000 deposit (unless specified otherwise) and 10,000-mile-per-year allowance. First up – the Ateca. In 1.4 TSI Xcellence spec (without any optional extras) it’ll set you back £283 per month with an optional final payment of £12,690, for those who want to buy the car at the end of the term. 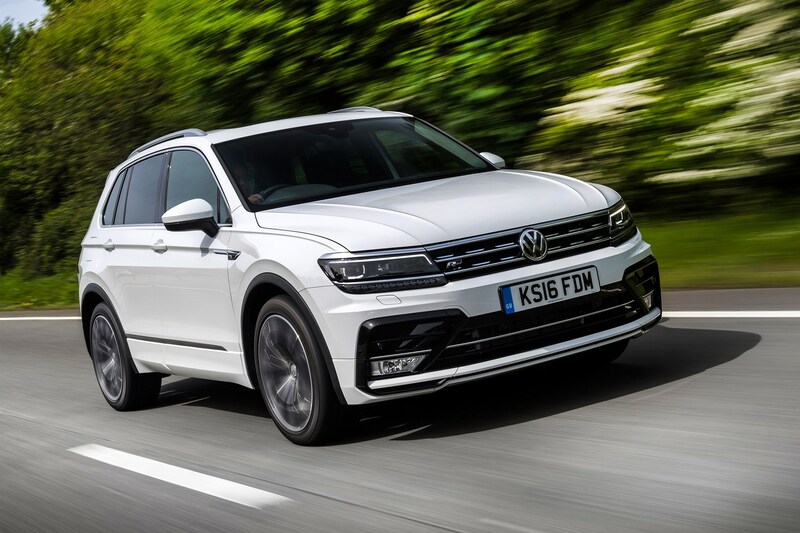 This compares favourably with the Volkswagen Tiguan in 1.4 TSI SE Nav spec – which has monthly payments of £308 a month (over 36 months) despite the manufacturer offering a £1,500 deposit contribution discount. 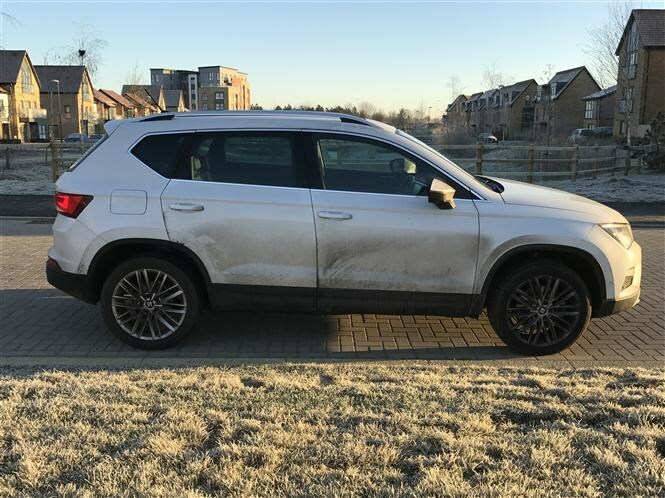 You'll need to find a similar sum to buy the car outright when the contract ends, however, with the Tiguan’s optional final payment set at £12,876. 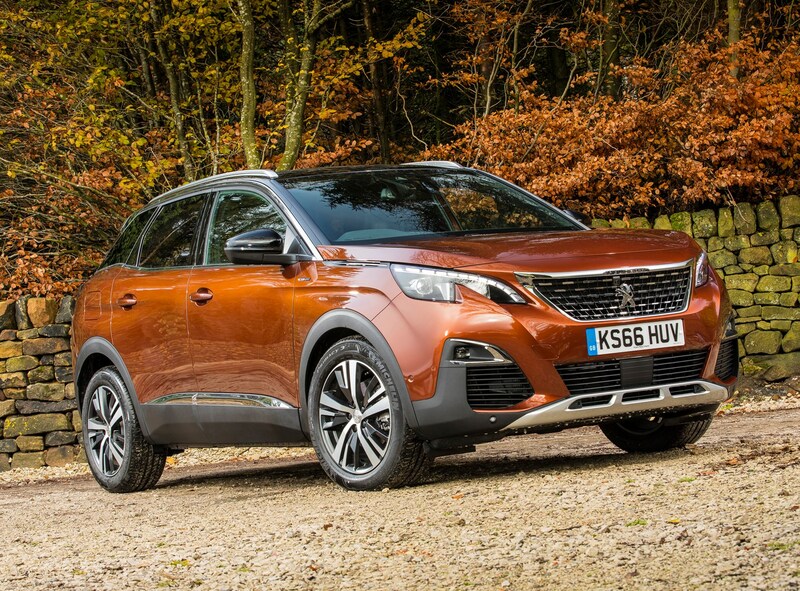 Meanwhile, the futuristic-looking Peugeot 3008 GT Line 1.2 matches the Ateca at £284 a month (over 37 months), yet has a lower optional final payment for those who plan to buy the car – costing £12,366 to take ownership at the end of the term. We also compared our Ateca to a Nissan Qashqai N-Vision 1.2, and, despite the less powerful engine, found that the Japanese crossover was only £22 per month cheaper than the SEAT. The Nissan’s £10,135 optional final payment makes the deal sweeter if you hope to own the car, as you won't need to find as much cash to buy the Qashqai at the end of the term. So, is our SEAT good value for money? We reckon so. The Spanish company certainly hasn’t done the Ateca any harm with its finance deals, and the reasonably low monthly payments mean they may end up teasing customers away from the more premium Tiguan. A bit of clarification from our last update. 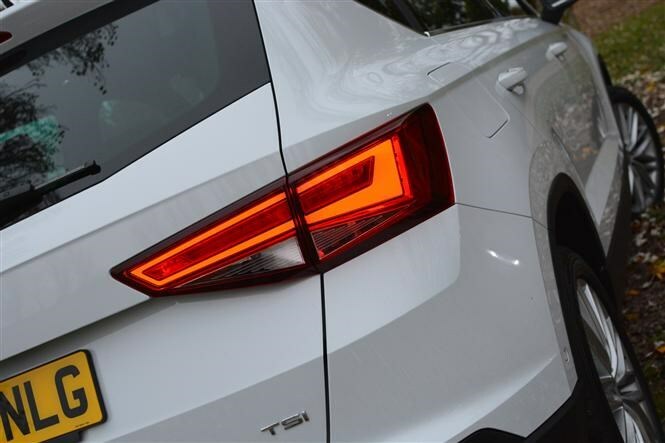 It turns out the rear foglight warning function on our long-term SEAT Ateca is designed to activate if the vehicle’s speed exceeds 38mph (60km/h) – the idea being that if you’re driving beyond this speed, the fog must have cleared and thus the lights should be switched off. Or is it? Could the Ateca’s well-intentioned warning actually be acting as an overzealous speed alert for drivers travelling in foggy weather? It's worth pointing out that the speed limit in the UK doesn't automatically reduce when the fog sets in like it does in Germany, for example – not that that means you shouldn't slow down and be more cautious. One would hope that drivers use their common sense and back off the throttle, but the speed at which they travel is ultimately down to their own personal judgement. For example, The Highway Code states that foglights should only be used when visibility drops to around 100 metres or less. 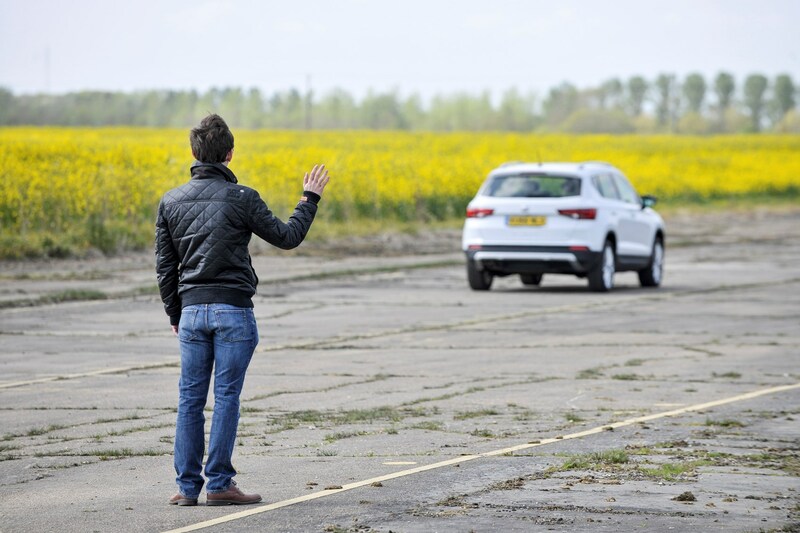 The recommended stopping distance, meanwhile, from 40mph (a speed at which the alert would be activated) is 36 metres, meaning that at 100 metres visibility a modern car should be able to pull up safely almost three times over in an emergency. Does this suggest the Ateca is programmed over-cautiously or does The Highway Code need revising? 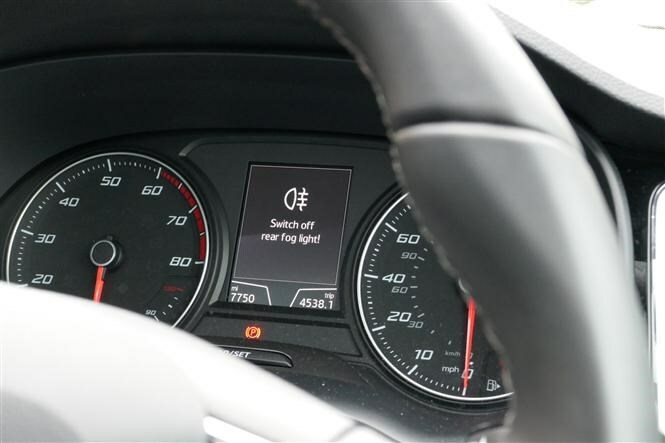 We reckon that the foglight alert is a nice idea, but like any driver alert, an option to turn it off or adjust the speed at which it's triggered would be welcome. We’d also be keen to hear your thoughts on the matter. 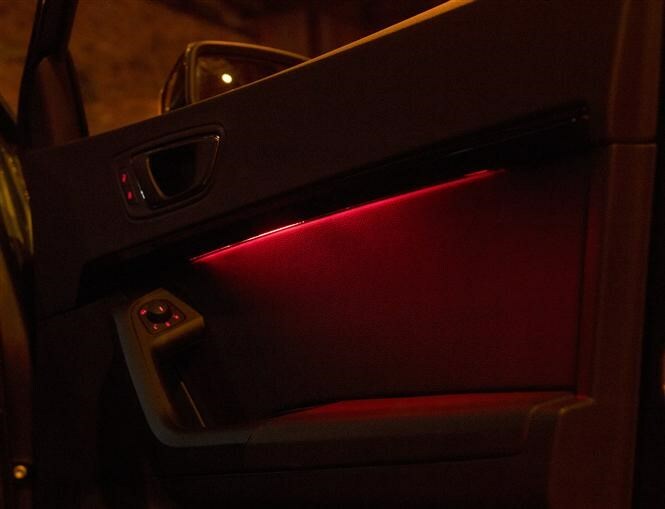 Is the SEAT's foglight alert a useful device or something you’d rather do without? In other news, we’ve booked the Ateca into the garage to get the sticky passenger window looked at – we’ll report back on the cause of the problem in due course. 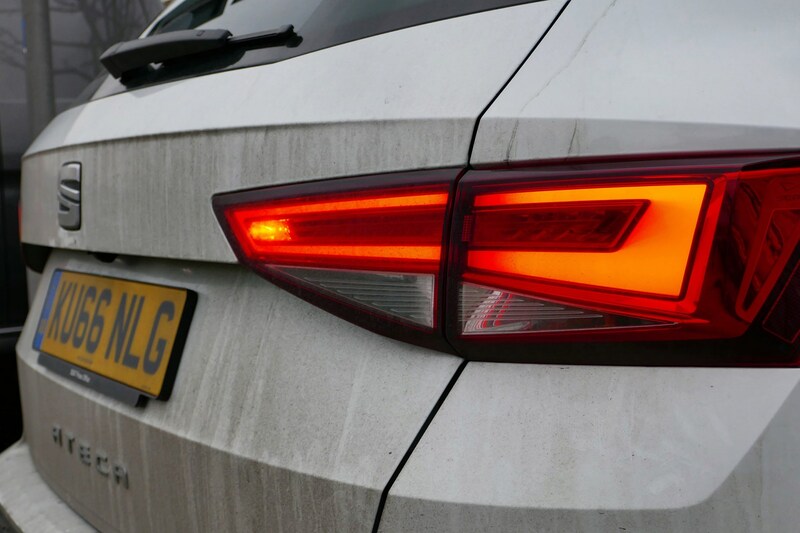 Our long term SEAT Ateca really doesn’t like having its rear foglights illuminated. I know this because my journey into work over the last few days has been punctuated by persistent – and irritating – dashboard warning messages (below) and chiming sounds. And before anyone suggests that I’m one of the many drivers who frequently cruises around with their foglights illuminated on crystal clear sunny days – I’m not. Visibility was down to 50 metres and the electronic information boards on the M25 were showing ‘FOG, SLOW DOWN’. These were exactly the type of conditions foglights are designed for. So why the warning messages? 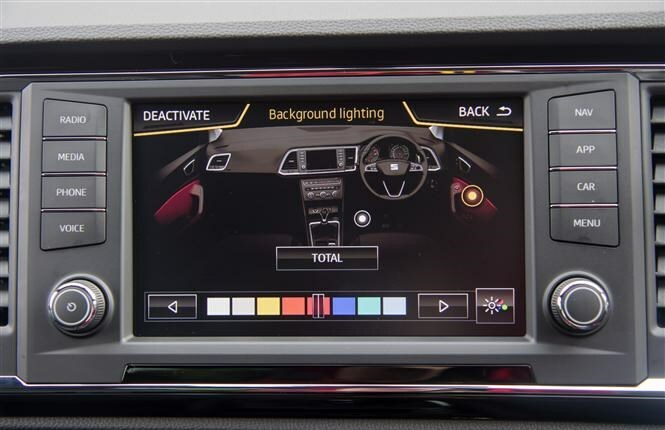 One would imagine that the Ateca is using its built-in light sensor to judge the visibility, something which it does flawlessly when it comes to switching on the dipped beams. However, even in conditions akin to a scene in one of Charles Dickens’ novels, the Ateca deems that its chiselled backside is perfectly visible without the use of foglights. Puzzling. Another gripe we’ve noticed recently is the passenger’s electric window struggling to close. It strains a little when winding its way down, yet the biggest problem occurs around the halfway point on the way back up. It will either slow to a crawl or stop entirely, and then start to move back down again – all the while you’re faffing around with the switch trying to stop the cold from coming in. Two things to keep an eye on here, then – we’ll report back if things get better (or worse) in the coming weeks. Christmas is a great test of many things – family relations, willpower and, in this case, our SEAT Ateca. Could it handle two Christmases and an Ikea trip in less than a week? At 510 litres, the Ateca boasts one of the biggest boots in the crossover class – trouncing the likes of the Nissan Qashqai, Renault Kadjar and Kia Sportage. Our Xcellence-spec car adds an electric tailgate with ‘virtual pedal’ to aid access – basically wave your foot under the rear bumper for it to open up. In practice I find myself wobbling around on one foot wondering why I didn’t just press the button to open it, but I’m sure it’ll be handy if you master it over time and regularly have your hands full when you get to the car. Once you’ve finished dancing around the back of the car, things improve. 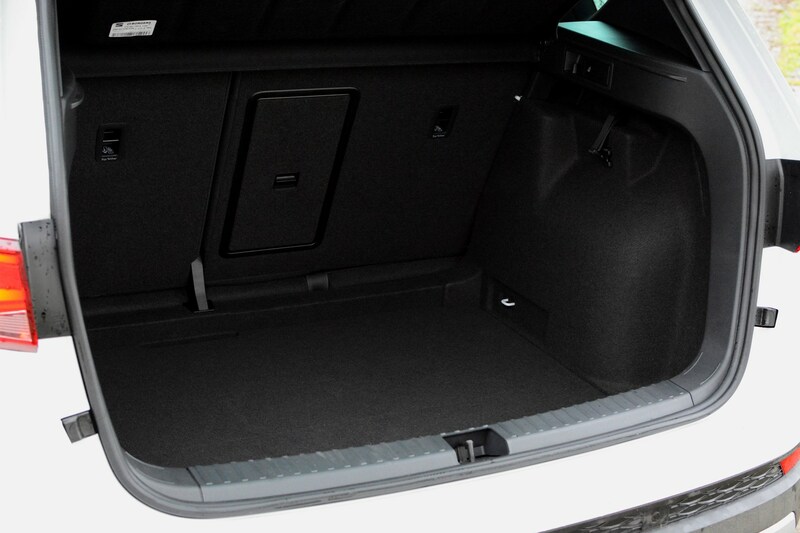 The opening is wide and low, while a variable-height boot floor means you can boost space depending on the load. 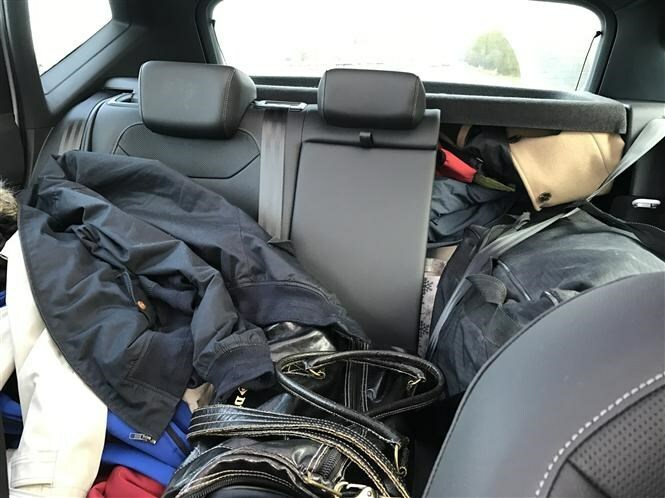 With a huge box of presents, two suitcases, a couple of holdalls and an unnecessary amount of coats on board, the rear seats needed to be folded down (I can’t stand driving with anything blocking the rear-view mirror). Luckily that’s easy as pie thanks to a quick release catch in the boot that flips the seats down in one easy action. What if I’m carrying less luggage and more family? Then there’s plenty of room for four adults (and a fifth for shorter journeys). 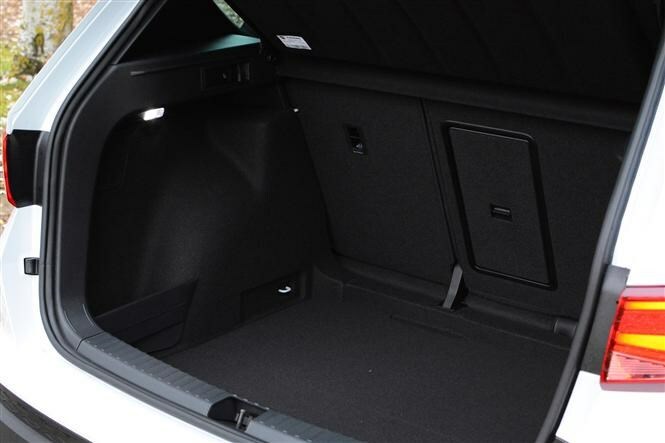 Leg and headroom are both generous throughout, although the black headlining of our car can make things a bit darker – the optional panoramic sunroof makes a big difference here. The central cupholders don’t hold two obligatory coffee cups side-by-side – they’re different sizes so you’ll need to prioritise. The door bins are big, though, which is useful if you’ve got larger water bottles, however smaller ones rattle around if they’re not packed in by something else. But these are small drawbacks because there are plenty of different spaces to store odds and ends, something that families will no doubt appreciate. While the sharp looks and practical interior have impressed us so far, the Ateca’s fuel economy seems to be the biggest fly in the ointment. SEAT claims it’s capable of returning a combined average of 52.3mpg, however we’re struggling to get more than 40mpg overall. The best we’ve eked out of a tank is 47.8mpg on the smooth three-hour Christmas trip to the West Country at constant speeds on the motorway. However, if you demand too much of the engine regularly, it really hits the fuel economy hard. The five-and-a-half-hour journey home in awful traffic returned closer to 30mpg. As always, then, the key is to adopt a light-footed approach, but the SEAT seems extra sensitive to throttle inputs and its impact on economy. 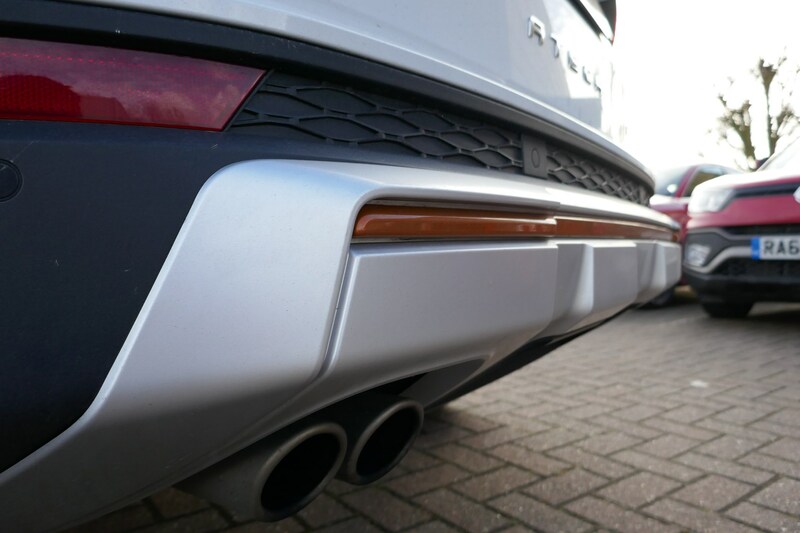 Living with any car on a daily basis means you notice some things you wouldn’t normally about a car over a shorter period of time – the little details. 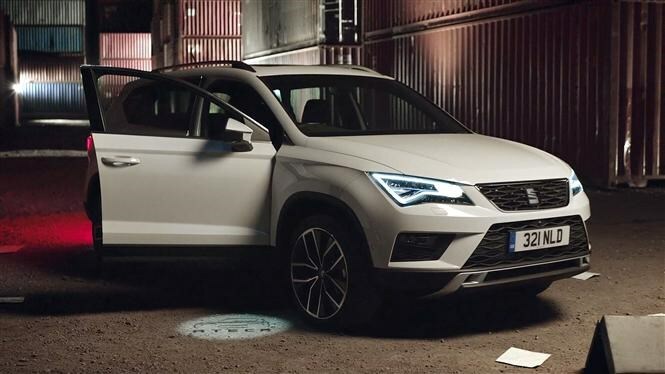 However, there’s one thing about the Ateca you simply cannot miss: its lights. At the front, they’re blindingly bright full LED headlamps with LED indicators and daytime-running lights, while at the rear the brakes are LEDs too. Personally, I’d like to see LED indicators just to finish off the look, but these are serious first-world problems to be worrying about. What’s so fascinating about some bright lights? Just that. I think they’re possibly the brightest set of lights I’ve come across. 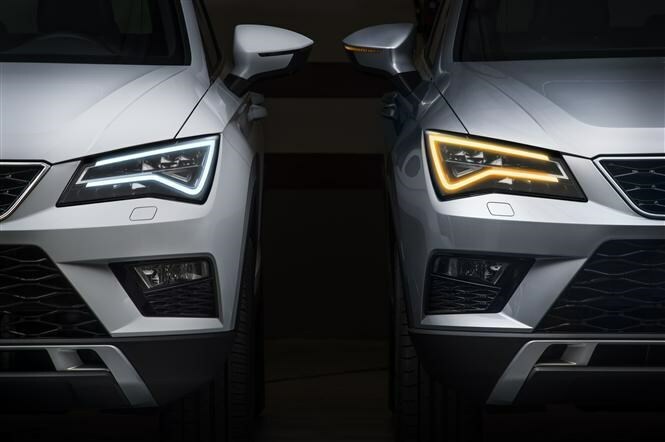 The normal daytime-running lights are big and bold and suit the Ateca’s sharp lines, while the same element is used for the indicators. It’s neat and tidy and I’ve got a lot of time for things that are slick and stylish yet functional at the same time. They make driving the Ateca at night much easier, illuminating plenty of the road ahead and reducing the need to strain your eyes. The dipped beam casts a wide, crisp white light across the road, while the main beam is even more dazzling. If you want automatic main beam, you’ll have to fork out between £300 and £620 depending on whether you pick it as part of an options pack or not, though. 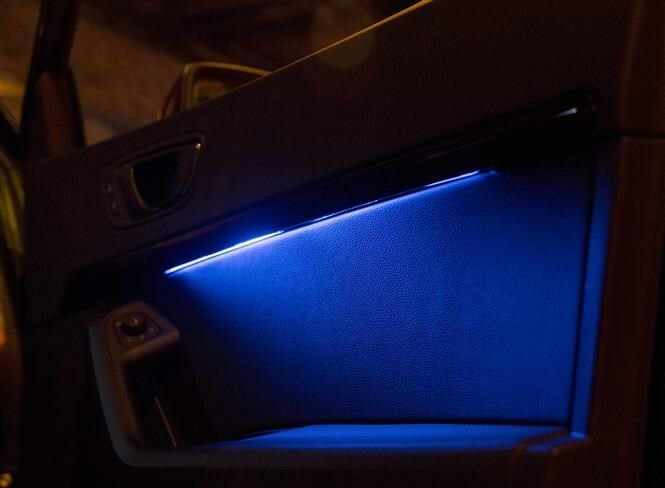 One word of warning about these lights – our SEAT’s handy feature of switching the lights on when you unlock the car is undoubtedly useful in the dark, just be prepared for how bright they are. I’m fairly sure the neighbours across the road don’t appreciate the bright beam of light illuminating their house early in the morning. 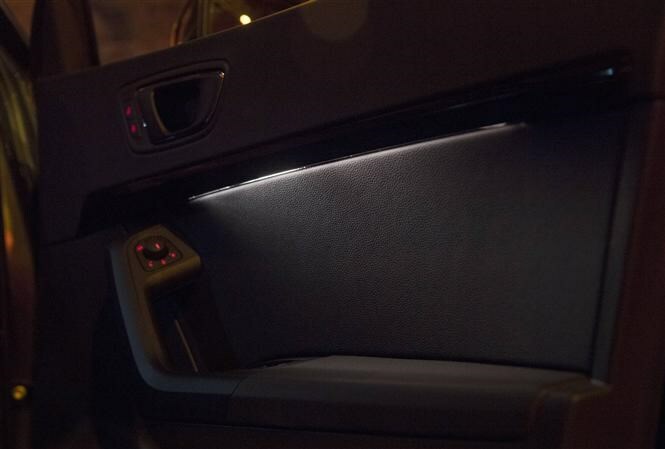 The Ateca’s interior has also been treated to plenty of distinctive lighting, with a choice of eight colours of ambient illumination – standard on Xcellence trim. The footwells and door panels are bathed in light – the latter of which looks particularly good as it shines down on the doors like a waterfall. At least that’s what SEAT’s brochure calls it. 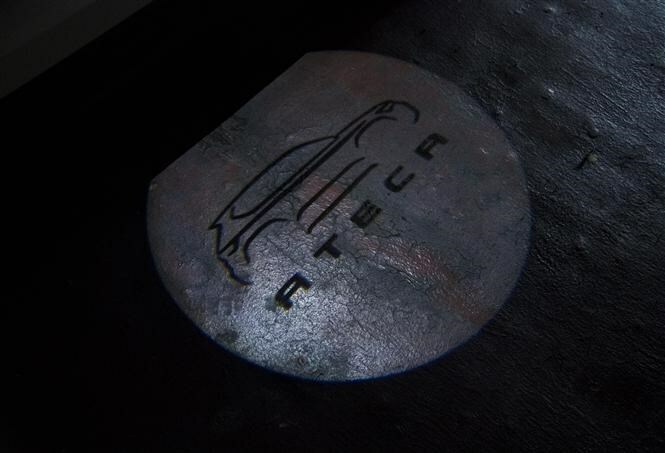 The final piece of the lighting puzzle – this time back on the outside of the car – are puddle lights located under the door mirrors to illuminate the ground around the car. That’s absolutely fine, but it’s the silhouette of the car and the name ‘Ateca’ underneath that’s left the Parkers office divided. Is it a tacky gimmick or classy add on? The Range Rover Evoque has the same thing, but the jury’s out when it comes to the sharply-styled SEAT. We’ve already established that our long-term SEAT Ateca has a decent engine and plenty of room for people and their luggage, but what of its technological offerings? Rivals such as the Peugeot 3008 may have raised the bar when it comes to cabin design, but the Spanish-born SUV still has some tricks up its sleeve when it comes to cutting-edge tech. Our top-spec Ateca comes decked out with a range of equipment and gadgets designed to make driving that little bit easier, but how does such technology work in the real world? Does the premium sat-nav have a sense of direction? Can the self-parking really park the car all by itself? And is the upgraded sound system worth the extra money over the standard set-up? This is all stuff we’ll be looking at this week. 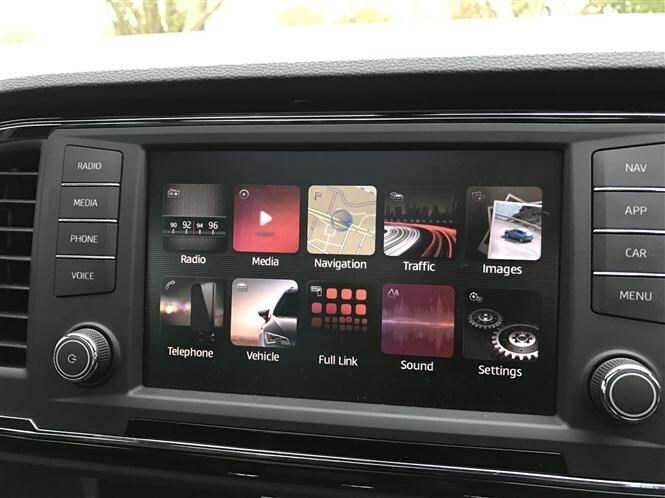 Central to the Ateca’s multimedia interface is a large eight-inch colour touchscreen which allows you to access features such as the sat-nav, radio and mobile phone connectivity. 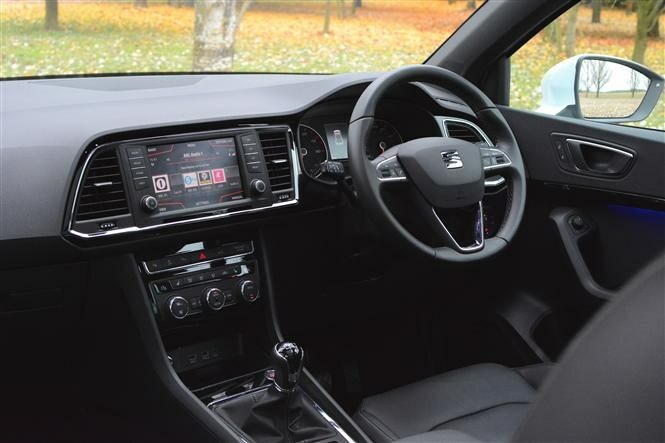 The touchscreen itself is usefully responsive and comes as standard on SE models and above – the base-level S trim car gets a five-inch monochrome touchscreen. 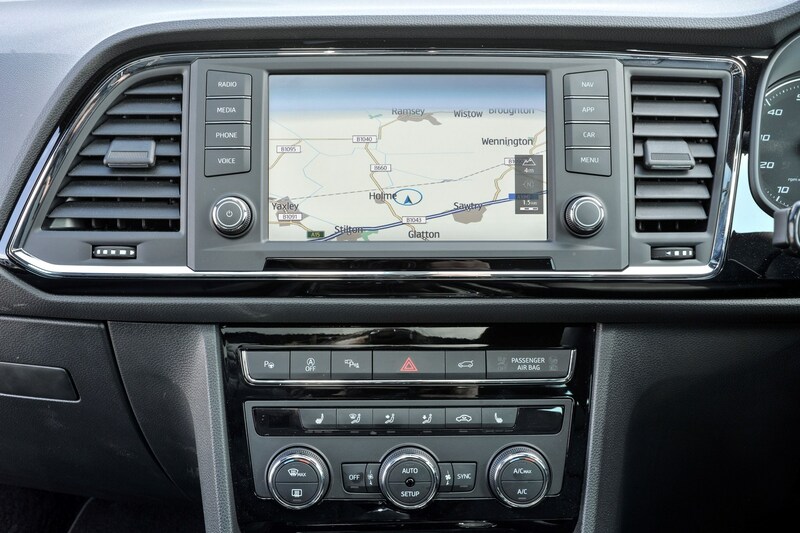 What we especially like is the proximity sensor – a feature often seen throughout VW Group cars – whereby icons appear on the screen whenever the driver or passenger moves their hand closer to the screen to interact with it. It’s a simple touch, but one which ensures the screen is always clear of any unnecessary icons when you don’t need them. 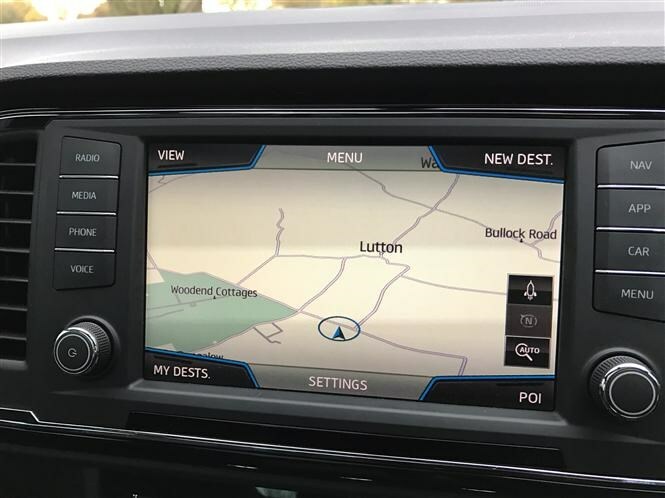 That sat-nav is one of the better systems we’ve used, offering clear and concise instructions as well as handy traffic avoidance technology. Should you want the latter, however, it’s only available as part of the optional Navigation System Plus pack on top-spec Xcellence models. Thanks to the slick Apple CarPlay feature on the Ateca (standard for SE trim and above), we’ve had plenty of time to give the optional SEAT Sound system a thorough workout. A £320 optional extra available on most trim levels, the premium Hi-Fi ups the number of speakers to 10 and adds a powerful subwoofer. We haven’t tried the lesser four- or eight-speaker systems but can report that the sheer bass and clarity of SEAT Sound means it should be money well spent for any music lovers. Note also that speccing SEAT Sound grants you the addition of a space-saving spare wheel (a £105 option on its own) instead of a tyre repair kit. The Ateca is by no means huge in size or especially difficult to park, but nevertheless the Park Assist feature (£325 on its own, also included in £1,210 Xcellence Pack) can be useful. 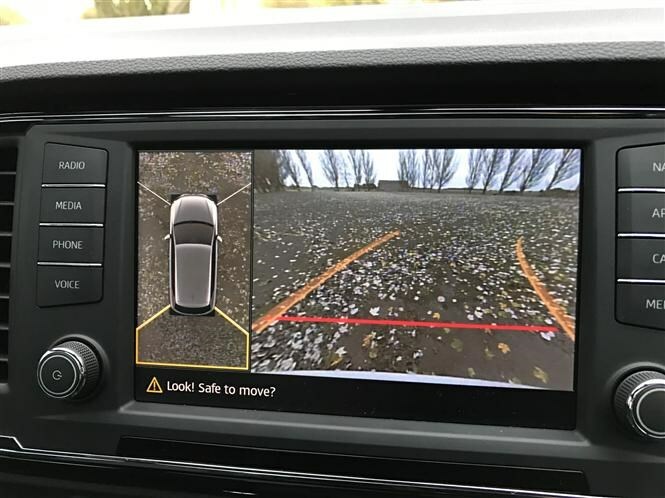 When prompted, the car’s sensors and cameras scan for a suitable place to park – parallel or perpendicular – instructing the driver to select reverse gear when a spot is found. The car will then steer itself into the space – the driver still has to control the pedals – and alert the driver once it’s finished. It can create a few heart-stopping moments as the front swings around what looks like millimetres from the vehicle in front, but – fingers crossed – we haven’t had any prangs yet. The system is limited, however, as parking in any sort of a hurry is best done by the driver. Plus, Park Assist needs to scan the length of the space before it can park, meaning you need to hit the button before you go past the spot – which isn’t always possible. The Virtual Pedal (included in the Xcellence Pack) can prove useful, yet it often takes an excessive amount of effort to make it work. 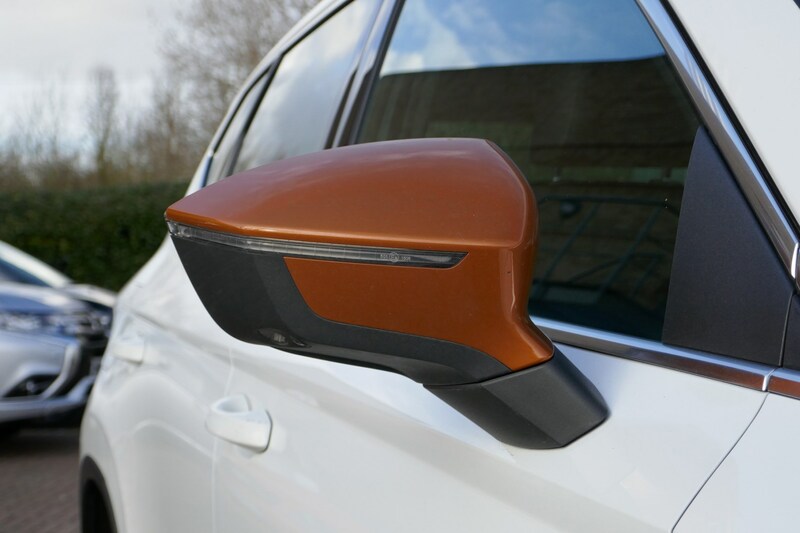 The idea is that you can come back to your car – your hands full with shopping or children – and casually wave your foot under the rear bumper in order to open the electric bootlid. Sounds simple, but we often found ourselves trying desperately to balance on one leg while pushing our other foot far enough under the bumper to make it work. We’ll keep an eye on whether this gets any easier with practice. Third report: diesel or petrol? 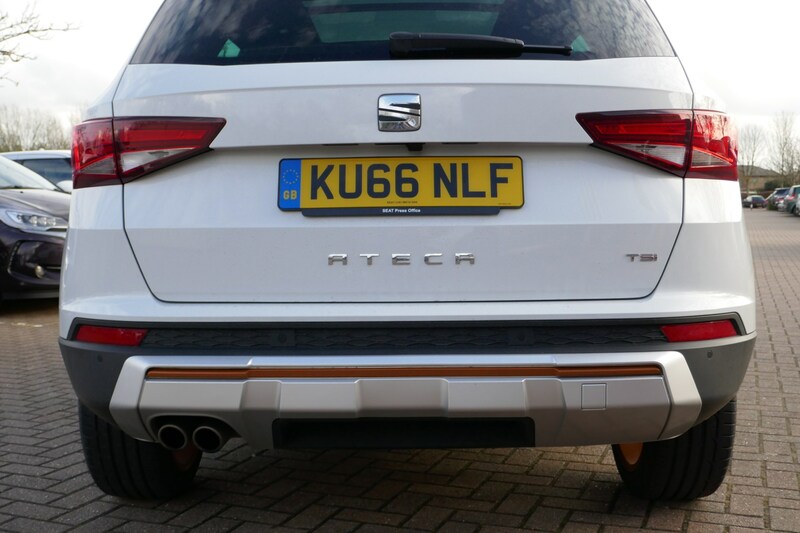 We’re now almost 3,000 miles into our time with the SEAT Ateca and still not everyone is convinced by the 1.4-litre turbocharged petrol under the bonnet. A power output of 150hp and 0-62mph in 8.5 seconds suggests it’s no slouch, but a lack of low-down pull means you have to work the six-speed manual gearbox to coax any real urgency out of the Ateca. There have been complaints about the feel of the engine too, some suggesting that it’s strained in the higher revs, with the small displacement struggling to lug the Ateca’s SUV heft along. Fuel economy, meanwhile, is currently sitting at a reasonable 38.4mpg, but we’ve never been able to eek more than 365 miles out of its 50-litre tank – disappointing for a family car. To provide us with a little context, a recent trip to Barcelona allowed for a quick go behind the wheel of the 150hp 2.0-litre TDI AWD Ateca. 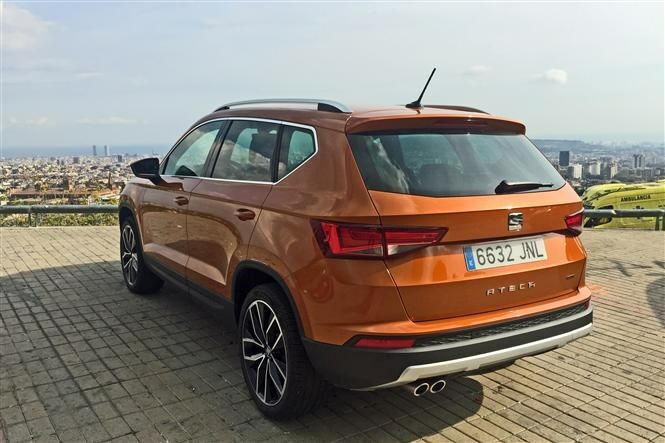 We were interested to find out how the engines compared in the real world, so took the diesel Ateca up for an hour-long drive on the motorways and mountain roads surrounding the Spanish city. The extra torque of the diesel – 340Nm vs 250Nm – was immediately apparent as we pulled onto the motorway outside of El-Prat airport. Squeeze the throttle in third gear from low speed and there’s a satisfying surge as the larger diesel motor hauls the Ateca forward. It’s certainly not a ballistic turn of pace, but it’s more confidence-inspiring than the petrol and never leaves you considering a hurried gearchange in order to join the flow of traffic safely. Providing you don’t hold onto gears too long, refinement levels are comparable to the supposedly more premium Volkswagen Passat with the same engine. At cruising speeds engine noise is negligible, although admittedly not as silent as the whispering petrol in our long-termer. Even with the weighty all-wheel drive system (standard on all 2.0-litre diesel Atecas), our car managed an indicated low 40s mpg on the trip computer. 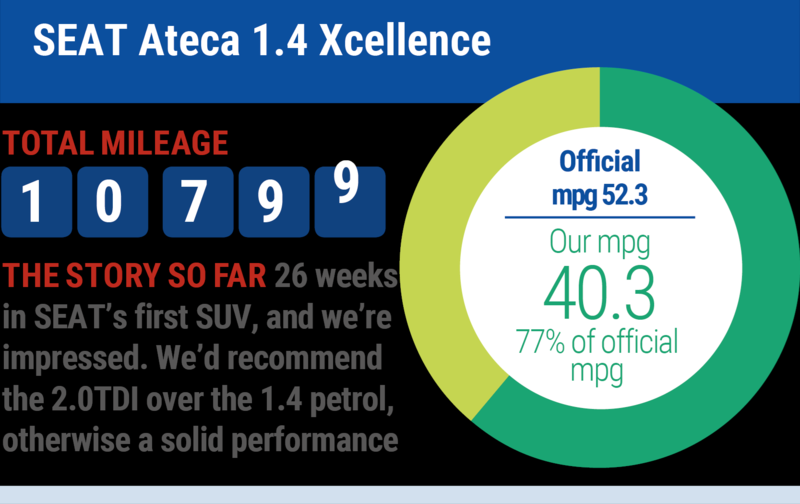 Although this is around 5mpg more than our petrol long-termer, we’ve noticed that the Ateca's trip computer over-reads fuel economy figures by around 4-5mpg. Assuming the diesel does the same, we can’t make any accurate fuel efficiency conclusions from our short drive. The proof in the pudding for most drivers, however, will be in the cost. We know that the diesel is priced higher than the petrol, but by how much? Cash buyers can walk into a SEAT dealership and pick up a manual 1.4-litre petrol Ateca XCELLENCE for £23,905. Buy the equivalent spec 150hp 2.0-litre diesel model and this goes up to £27,425 – a £3,520 premium. Pricey. Opt for one of SEAT’s finance deals and the story is much the same. Based on a £3,700 deposit (£3,699 for the diesel), 36-month contract and 10,000 miles per year,* the petrol will cost £294 per month (4.8% interest) while the diesel will set you back £379 per month (4.8% interest). If you want the diesel you’re going to have to pay considerably more no matter how you finance the deal. For some, the extra torque and expected increase in fuel economy will be worth it, but we’d rather stick with the far more competitively-priced petrol. 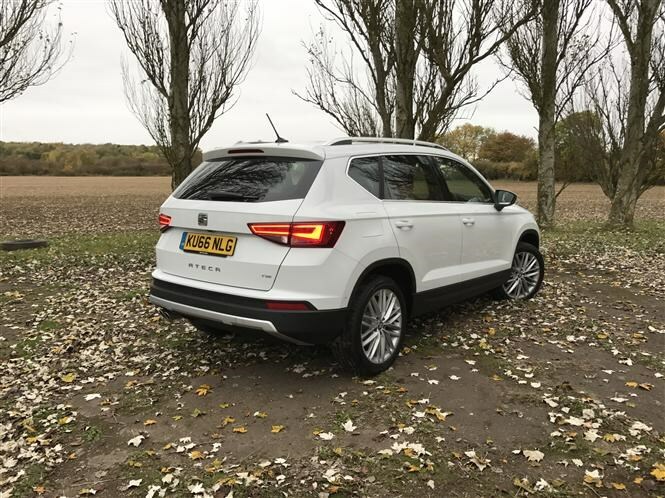 It’s not perfect, but does provide more character than the humdrum diesel and suits the Ateca’s sharp and sporty driving manners. **Calculated based on the 20% basic rate of taxation. 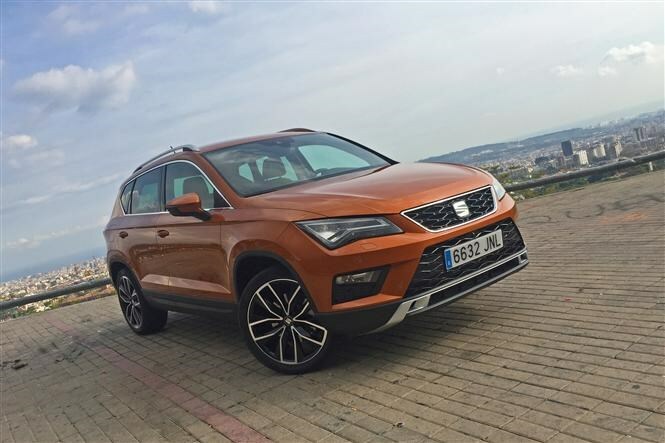 SEAT’s late entry into the crossover fray means it needs to fend off competition from all angles – including the premium sector and some in-house rivalry. Enter the new Audi Q2, the latest high-riding hatch to join the German brand’s rapidly-growing range. 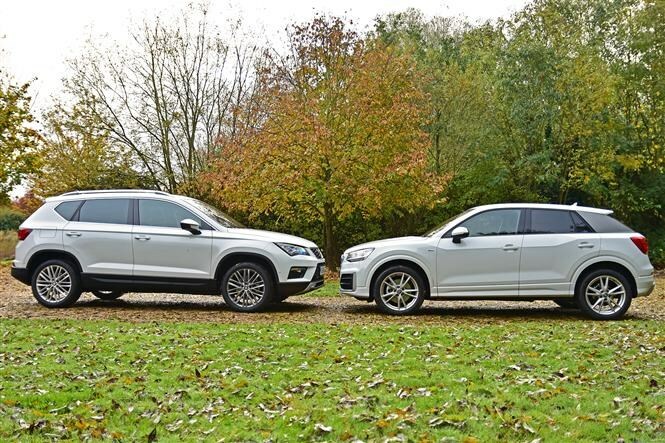 Both cars here have the same 150hp 1.4-litre EcoTSI petrol engine under the bonnet, but our Ateca uses a six-speed manual gearbox while the Audi Q2 has an S Tronic automatic ‘box. While the manual Ateca is slick and precise in action, the S Tronic in the Q2 is smooth and responsive – you barely notice gear changes and it feels very well matched with the engine. The Q2’s smaller size also pays dividends here. It feels faster and more responsive on the move thanks to its lighter weight and lower centre of gravity – there’s noticeably less body roll than the Ateca. When it comes to the way it drives – the Q2 wins. Dig into the specs of these two cars and the case for the Audi begins to unravel. 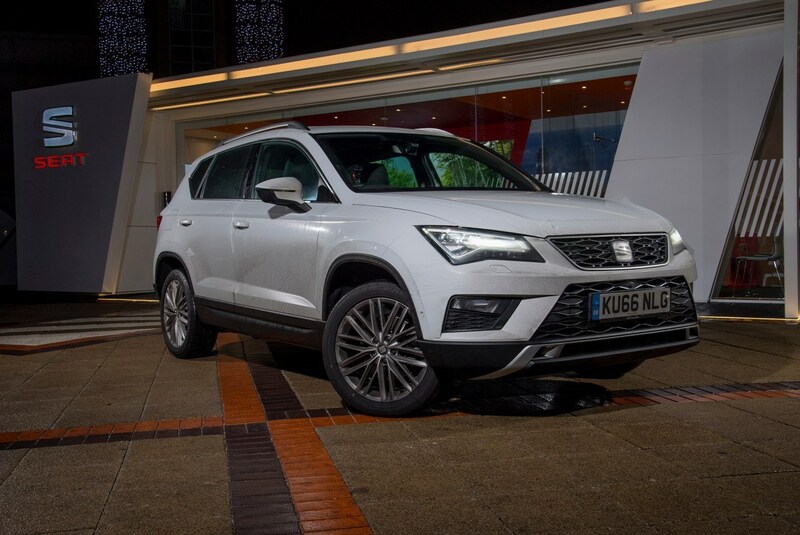 Our SEAT Ateca Xcellence – with options – costs £26,945. The Q2 S Line we’ve got here kicks off at £27,045 before you begin the dangerous game of adding options, of which it has plenty. 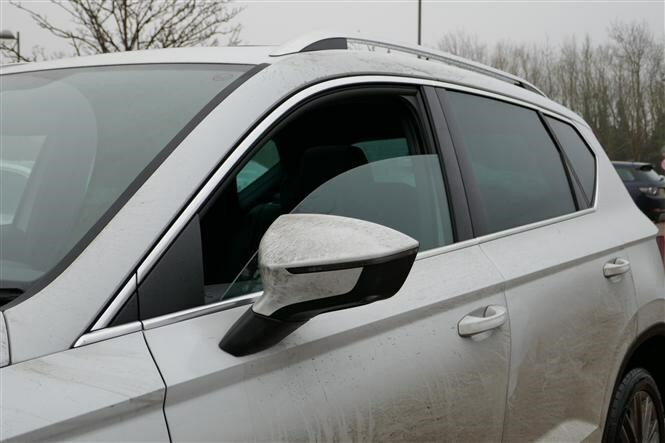 While not all options are essential on the Audi, we think kit like the auto-dimming rear view mirror with automatic lights and wipers (standard on the SEAT) should come as standard. Many of the other options are real luxuries and contribute to the Audi’s fantastic interior – it really does feel a cut above the SEAT, but it should be at £34k. The problem for the Audi is the SEAT’s cabin is still solid and well-built – there’s little to complain about. Value for money? SEAT wins. Crossovers need to be sensible because they’re favoured by family buyers. The SEAT boasts a spacious interior – there’s plenty of head and legroom all-round and the 510-litre boot is practical. The Q2’s smaller size means the boot is 105 litres smaller (but still well-shaped) and while legroom in the back of the Q2 is good, headroom is reduced and the S Line’s black headlining makes it feel much smaller. While the Ateca has the same dark interior, the vast panoramic sunroof lets in some much-needed light. Need one of these for the family? Get the Ateca. Of course looks are subjective, but the appeal of an Audi on the driveway will be a strong one and its design from certain angles is neat and interesting. In isolation it’s an eye-catching car, but the problem is when you line it up next to the SEAT. Sharp creases, good proportions and neat details mean the Ateca is the supermodel of the two. But for some, the four rings on the front of the Q2 will be enough to win in the image stakes. Is it as close as it seems? Yes, and that’s probably more of a testament to the SEAT than the Audi. At several thousand pounds less, the Ateca is better than the Q2 in several areas – and what you get for your money is chief among these. 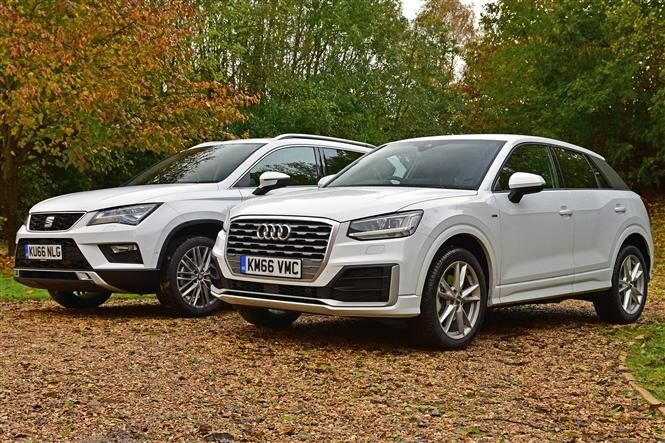 The Q2 is a highly commendable car, but the usual issue of price and how much you can spend on the options list is a big one. 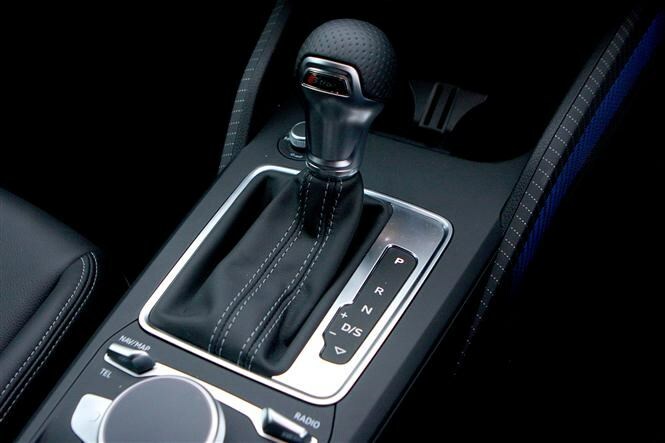 The biggest fly in the ointment for the SEAT is that you can’t get it with a DSG gearbox, though. Audi’s S Tronic equivalent is slick, smooth and a great match for the 1.4-litre engine, which can feel more strained in the SEAT than it does in the Audi. At the end of the day, it’ll come down to budget and what’s important to you, but the Ateca’s wider breadth of abilities and better value see it win here. 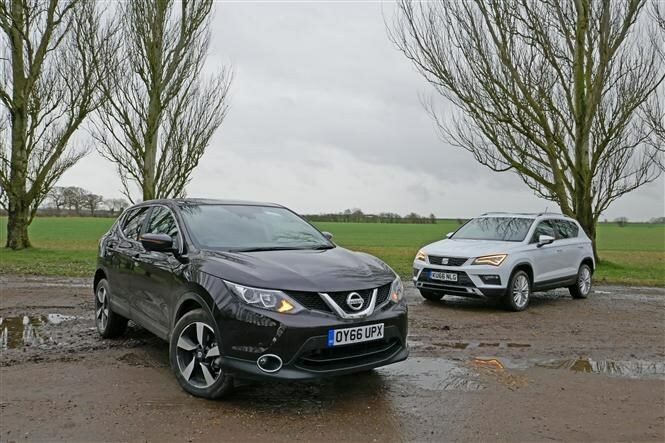 There really is a bewildering number of crossovers and SUVs on the market, dominated by the trend-setting Nissan Qashqai that was introduced in 2007 and is now in its second generation. Since then, it seems like every manufacturer has been getting in on the act, and Spanish brand Seat has finally joined the party with the sharp-suited Ateca, which is taking aim at the Qashqai, Renault Kadjar, Hyundai Tucson, Kia Sportage and many, many more. We’ve got our hands on one for the next six months – specifically a 1.4 EcoTSI in Xcellence trim – to see if it’s got what it takes to topple the best in this rapidly growing area of the car market. We’ll dive deeper into the comprehensive kit list at a later date and as we get to know the Ateca more, but there are a few extras added to our Seat that are worth mentioning. These include the £1,210 Xcellence Pack, which adds a top-view camera (a reversing camera is standard), Park Assist (parks the car for you) and an electric tailgate that you can open by waving your foot under the rear bumper. We’ve also got the £935 panoramic sunroof, which brings some much-needed light into the cabin. The black leather and black headlining would make for quite a dark interior if not. Finally, there’s the £320 Seat Sound stereo upgrade. That brings the cost of our car up to £26,945 (it’s £23,905 before options and £575 Nevada white metallic paint), which isn’t too bad when you consider the amount of kit on offer. A 1.4-litre EcoTSI turbocharged petrol. It produces 150hp and will sprint from 0-62mph in 8.5 seconds, which is promising for a chunky crossover. We’re certainly interested in seeing if it’s got enough get-up-and-go for this kind of car and if the “Eco” part of the name is reflected in the economy – Seat claims it’ll return 52.3mpg on average thanks to technology that shuts down two of the four cylinders when you’re not demanding too much of the engine. Initial thoughts on the Ateca are very positive indeed. It looks fantastic thanks to some striking design details, namely those incredibly bright LED lights at the front and sharp creases all-round. Inside it’s gadgets-galore and there’s plenty of space too. We’ll dive into all of these areas in more detail in future updates, but so far it's looking like it could be a great all-rounder.